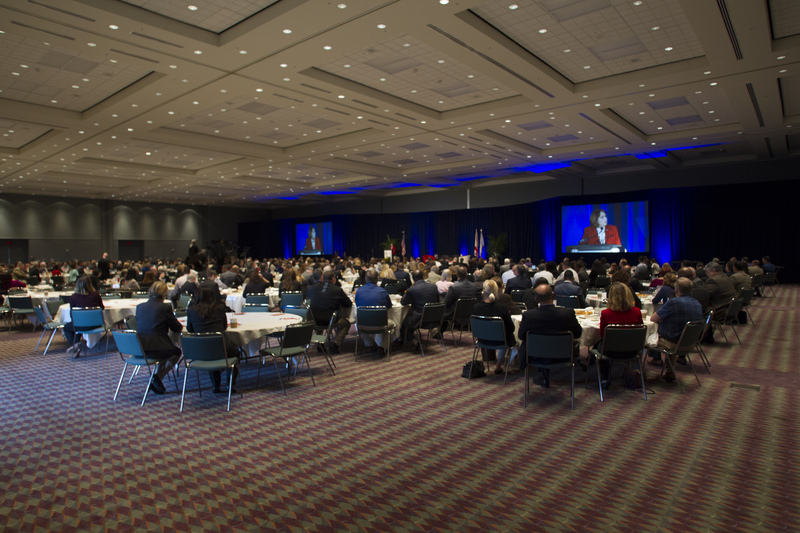 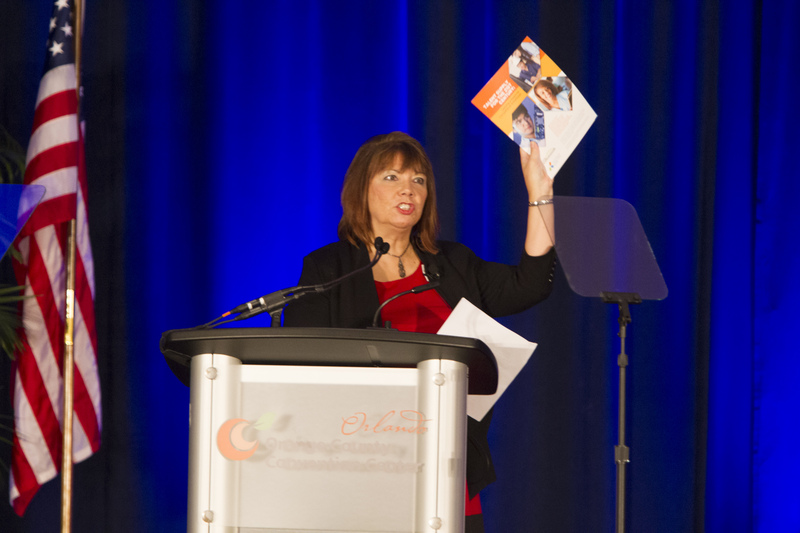 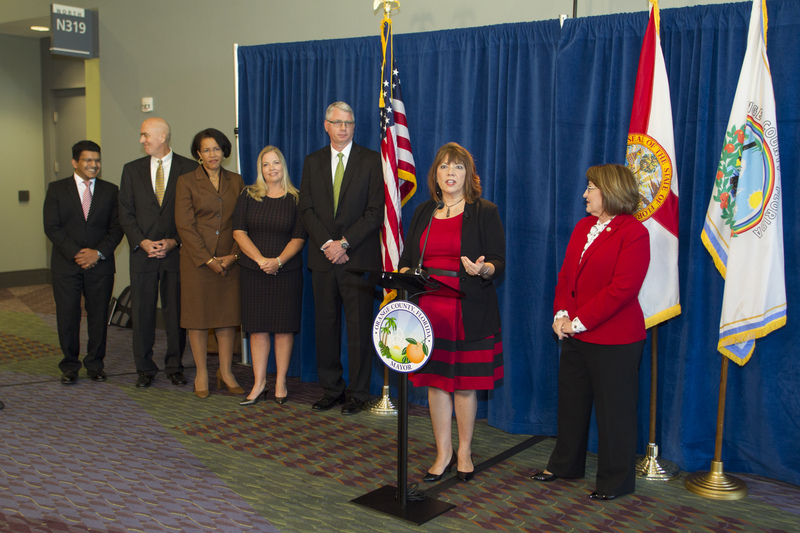 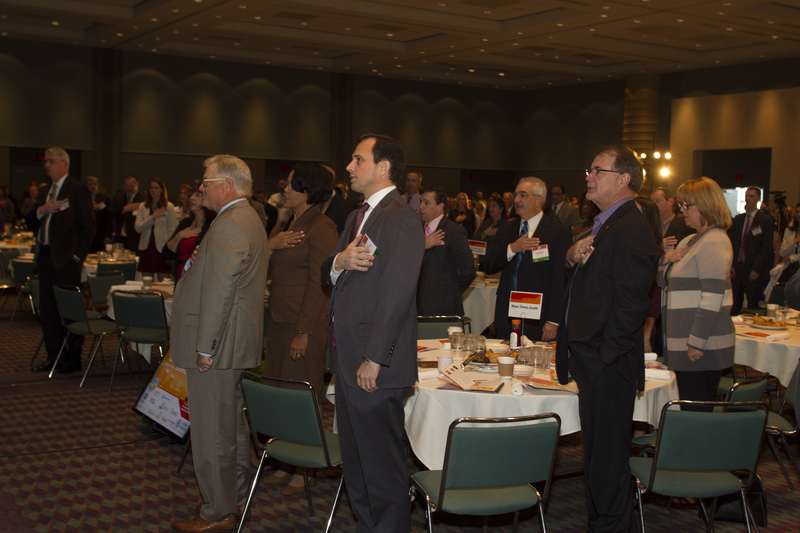 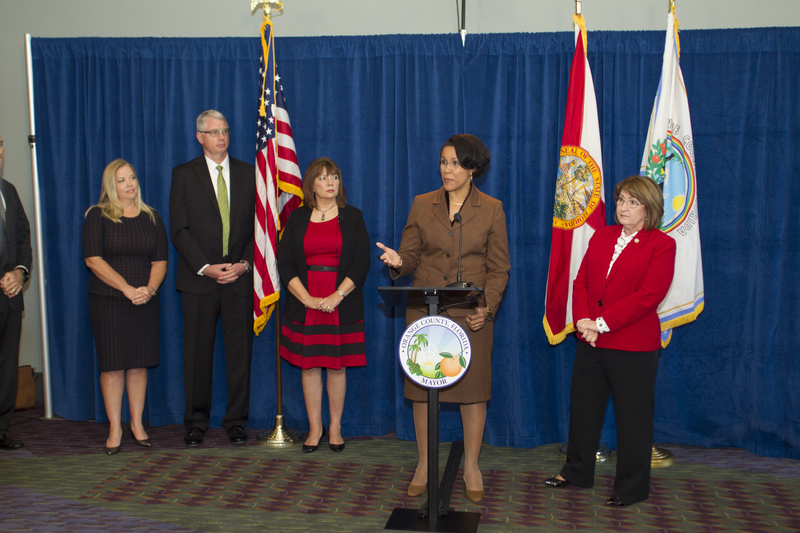 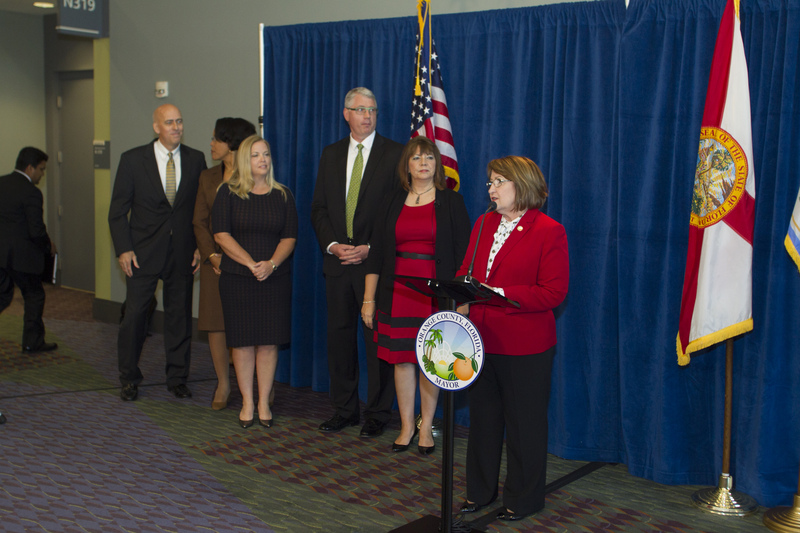 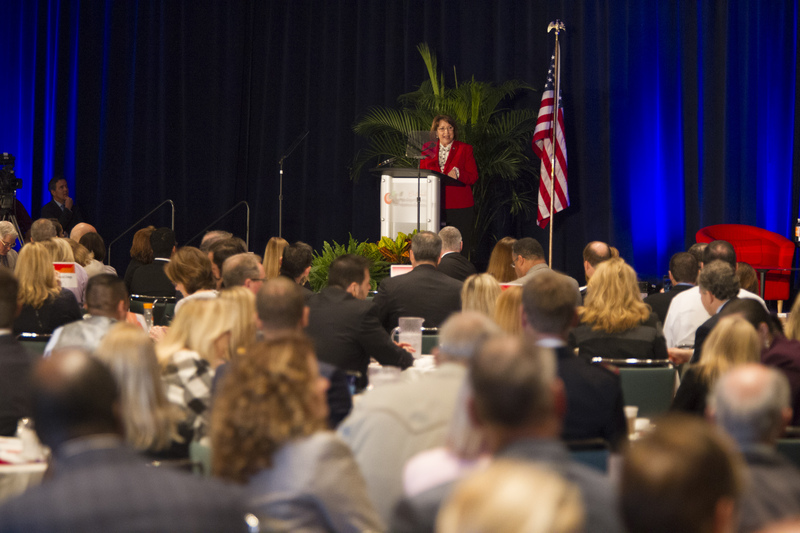 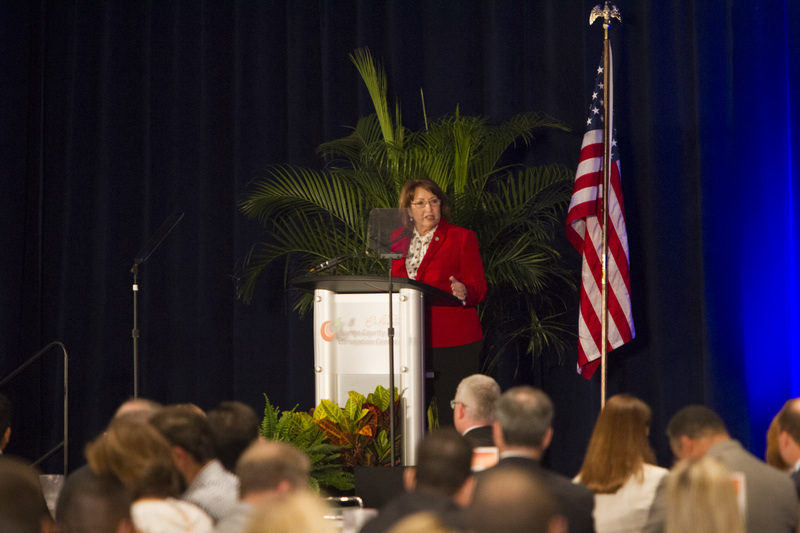 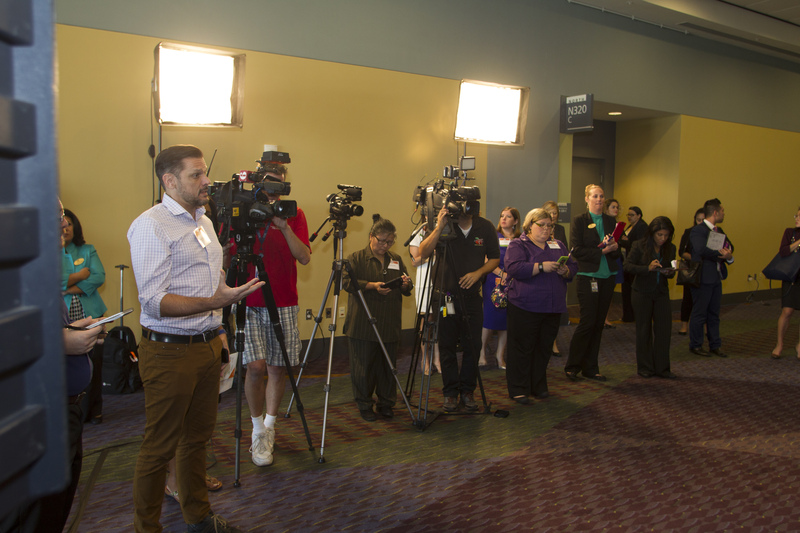 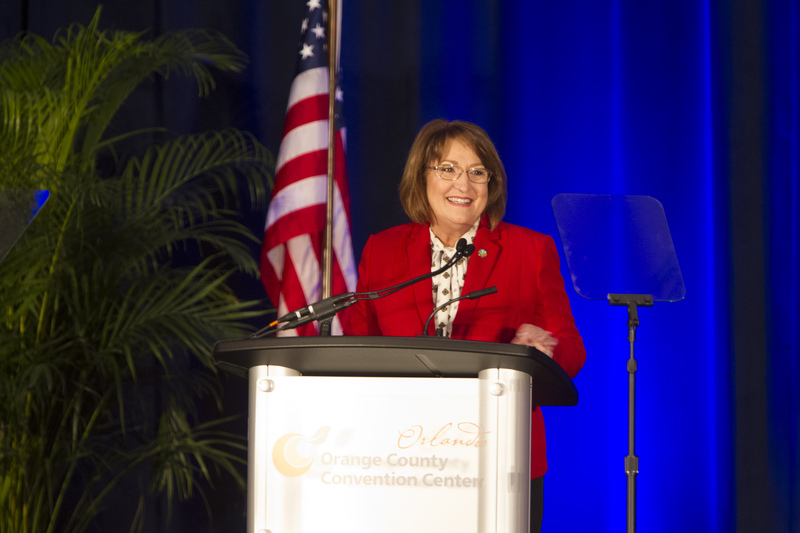 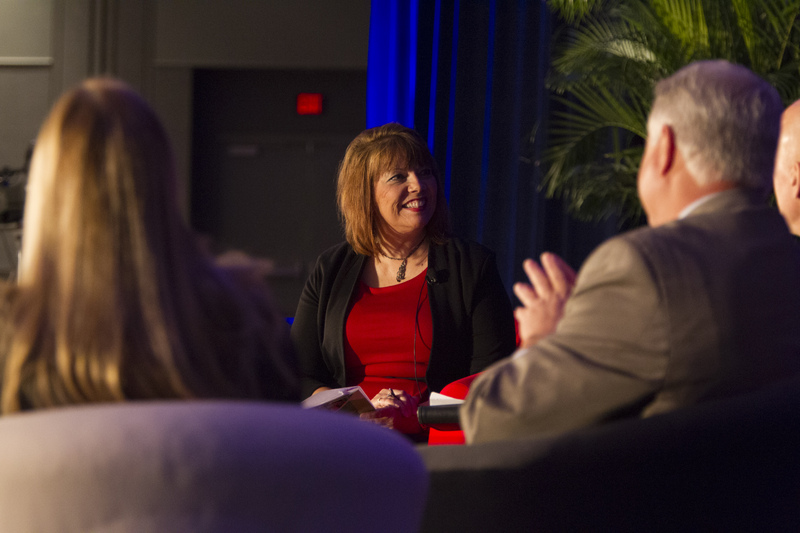 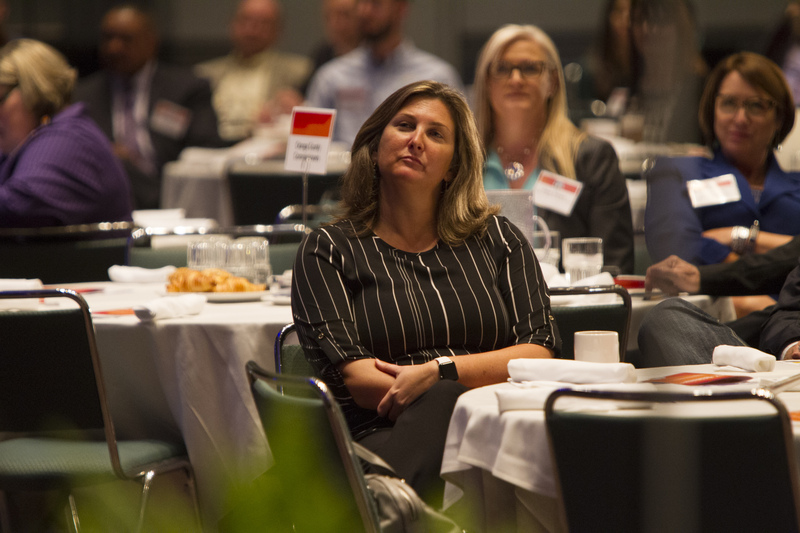 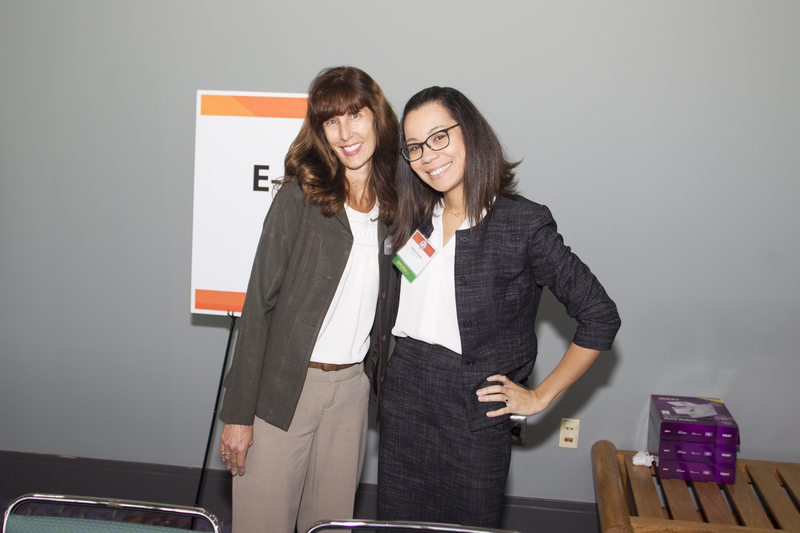 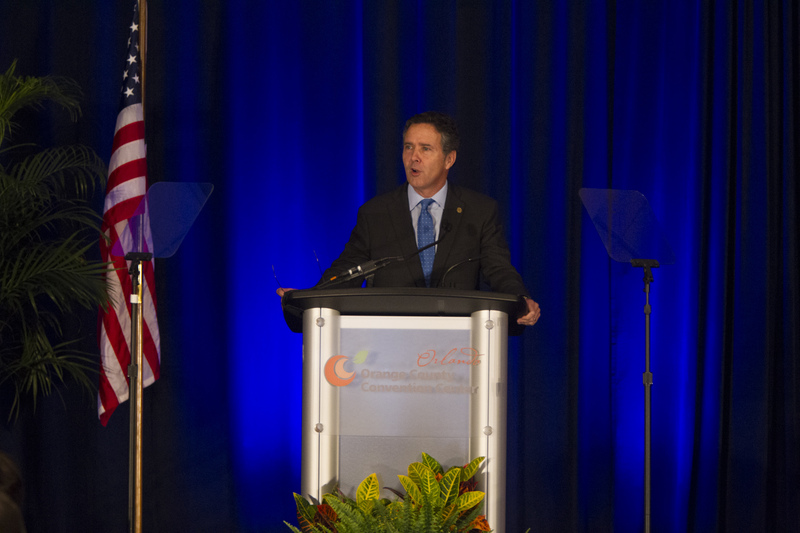 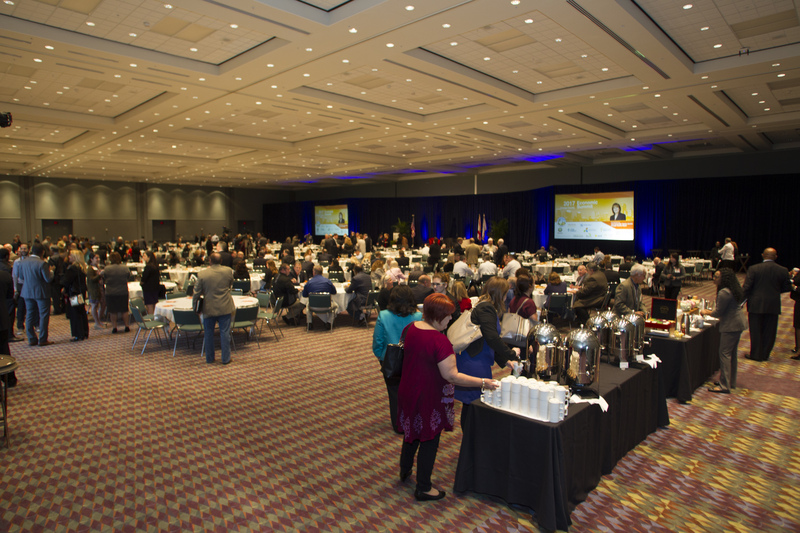 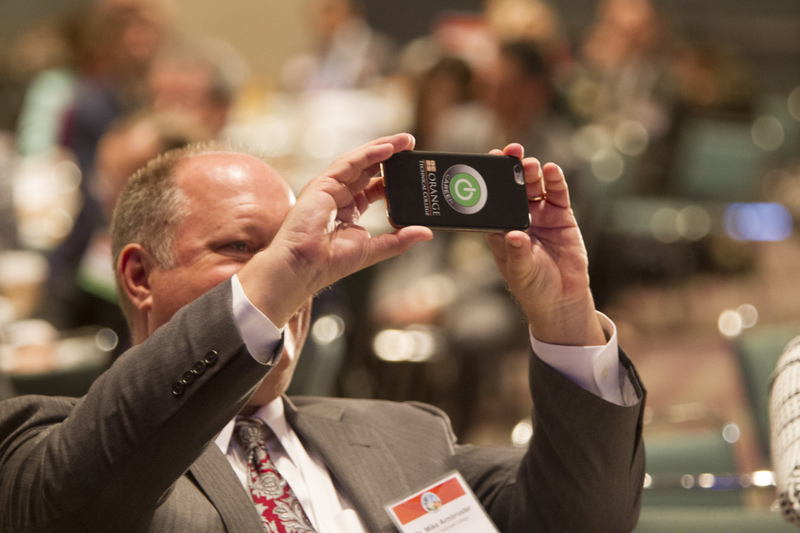 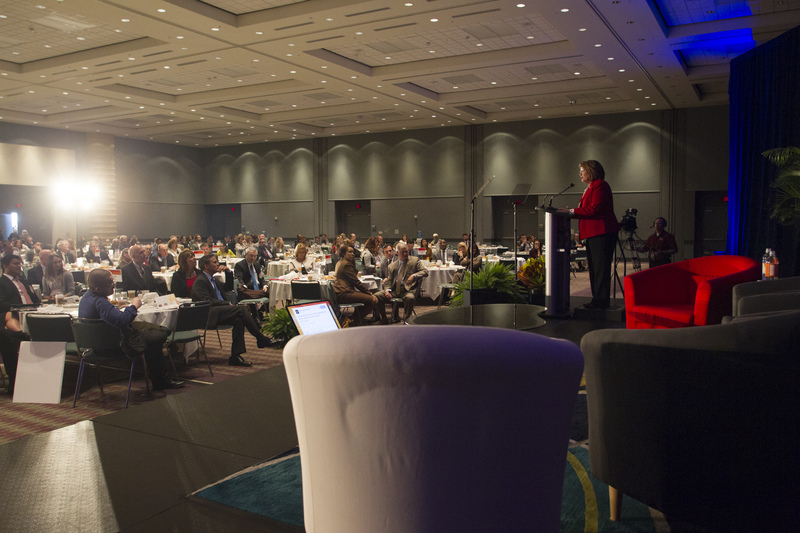 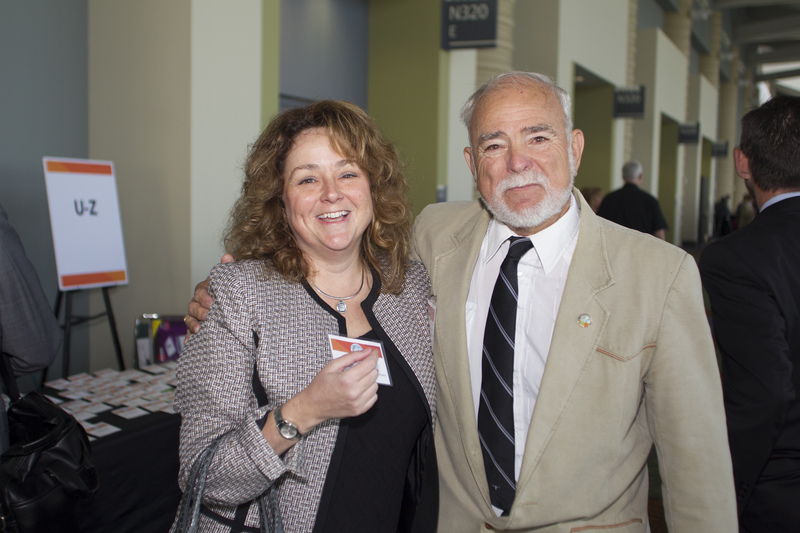 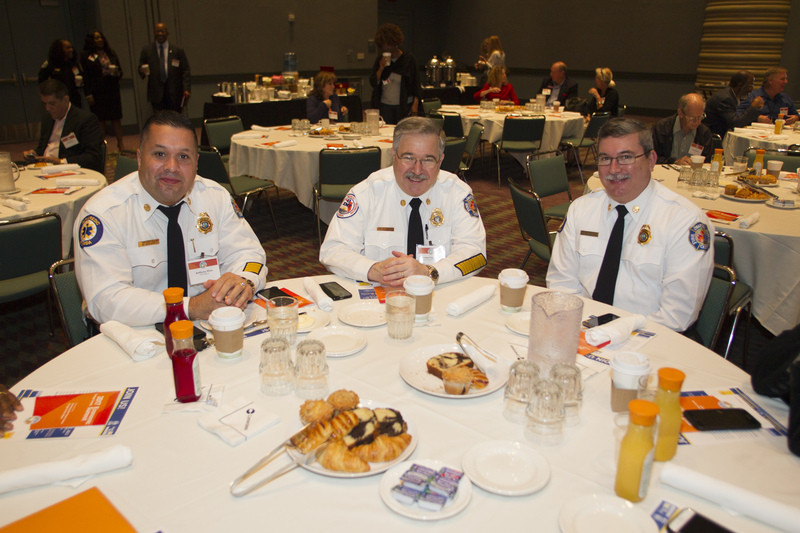 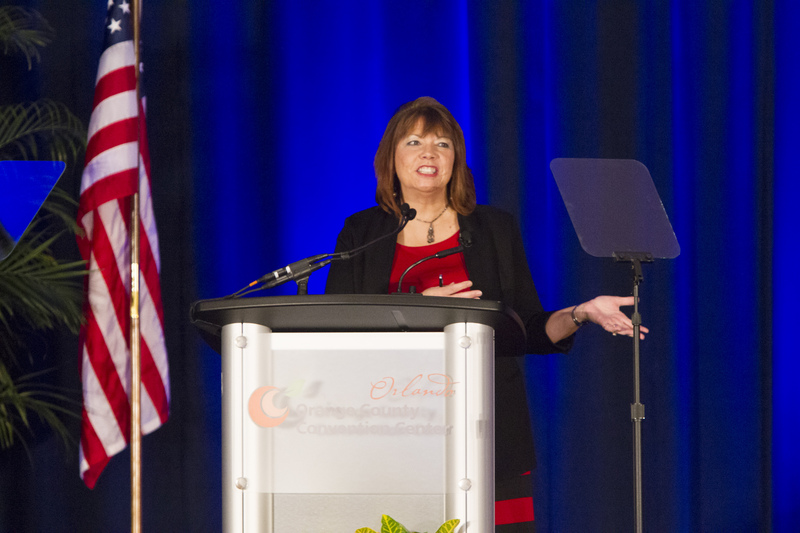 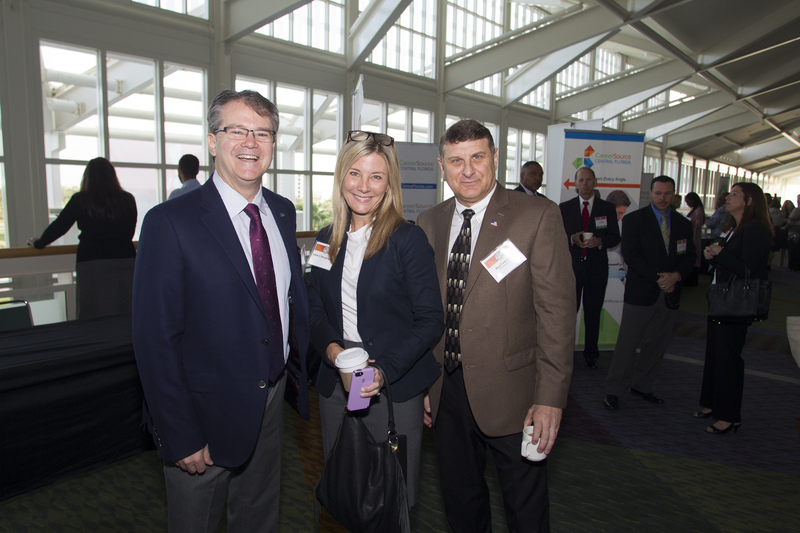 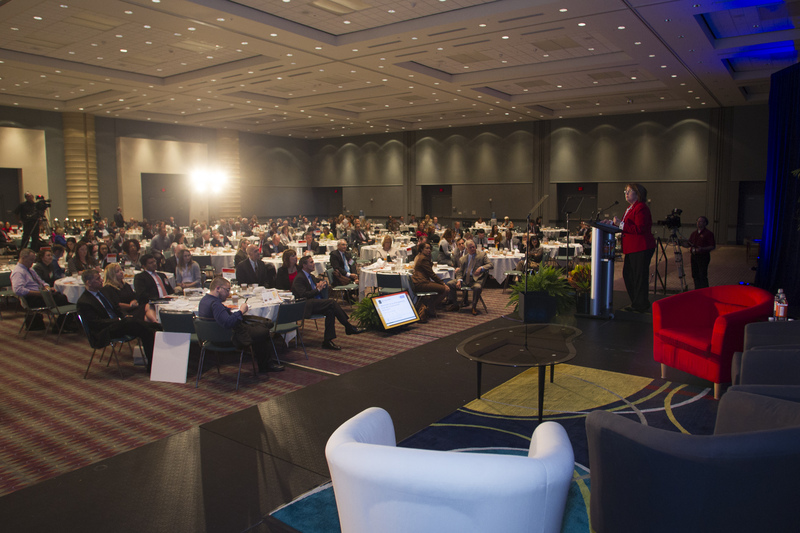 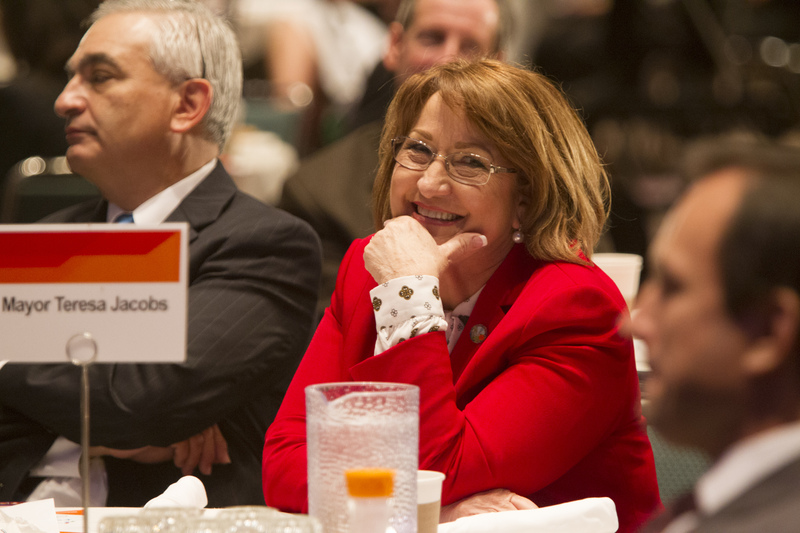 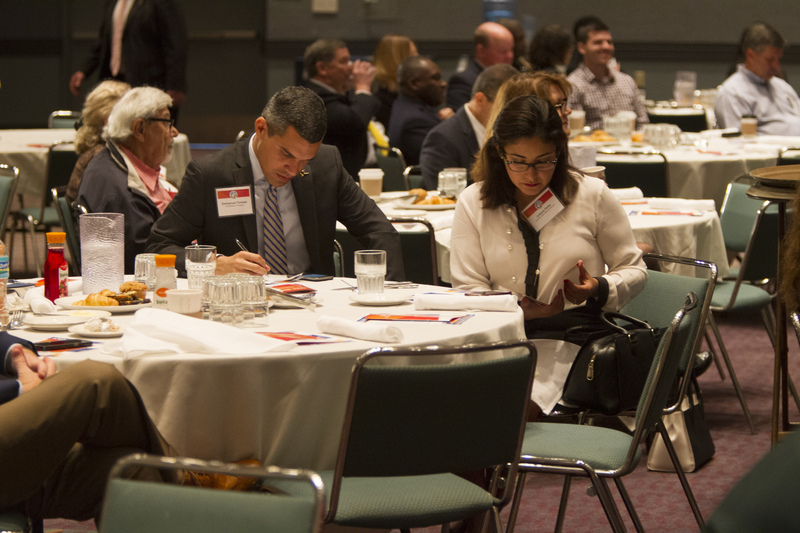 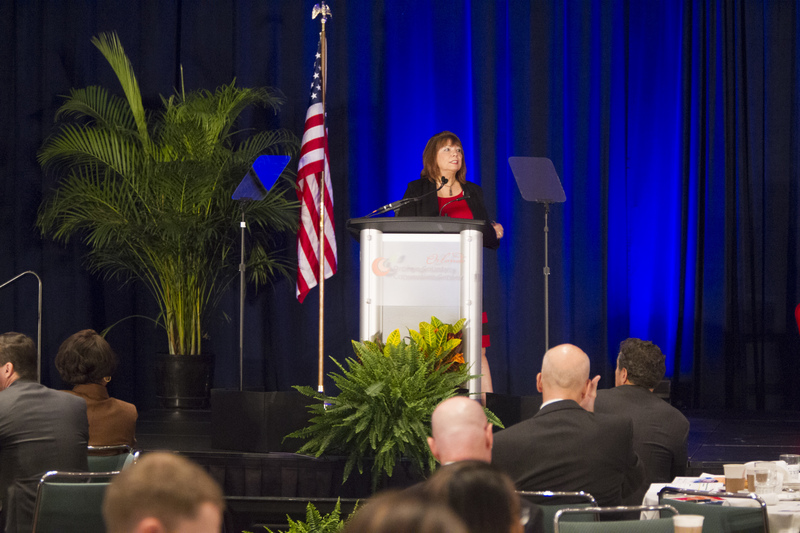 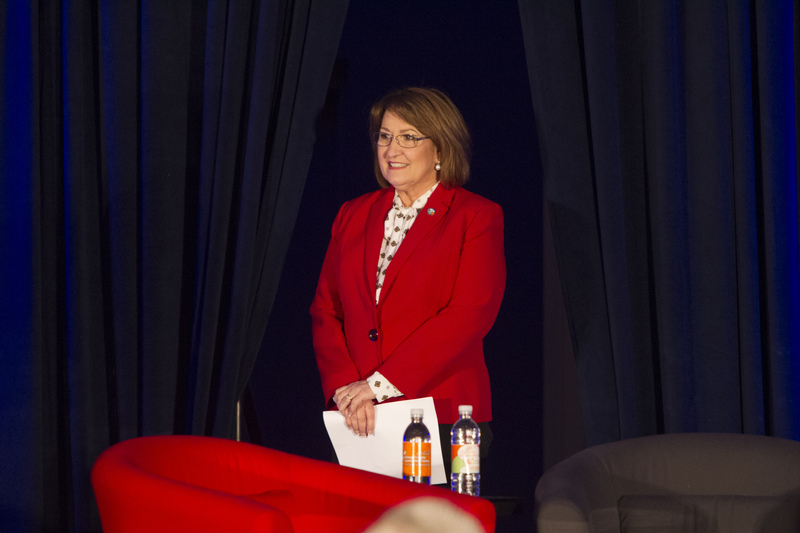 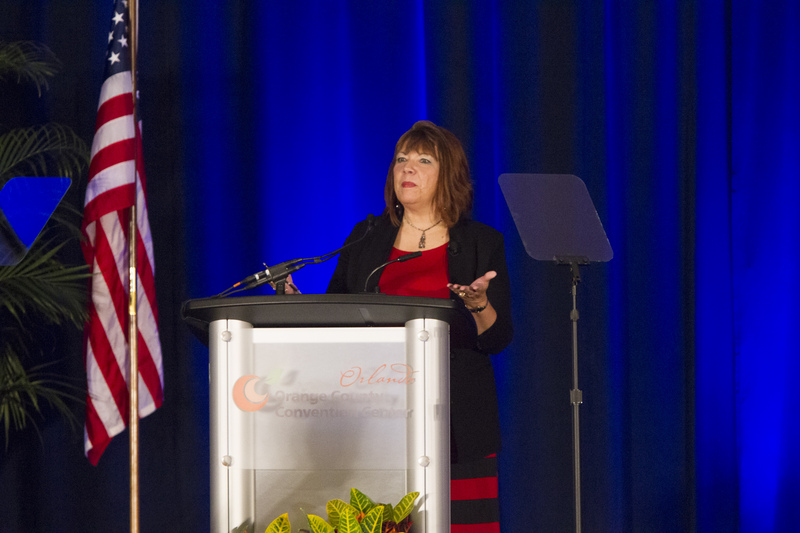 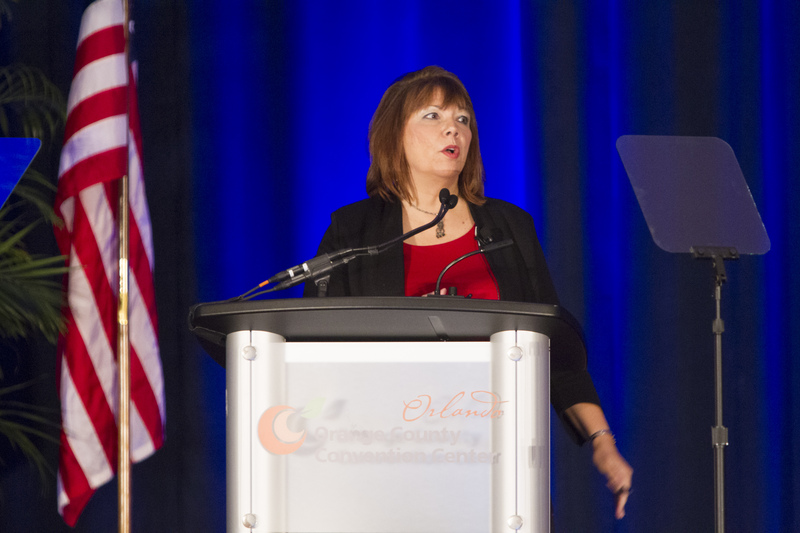 Orange County Mayor Teresa Jacobs welcomed a capacity crowd of more than 600 citizens to the 2017 Economic Summit at the Orange County Convention Center on Wednesday, Jan. 18. 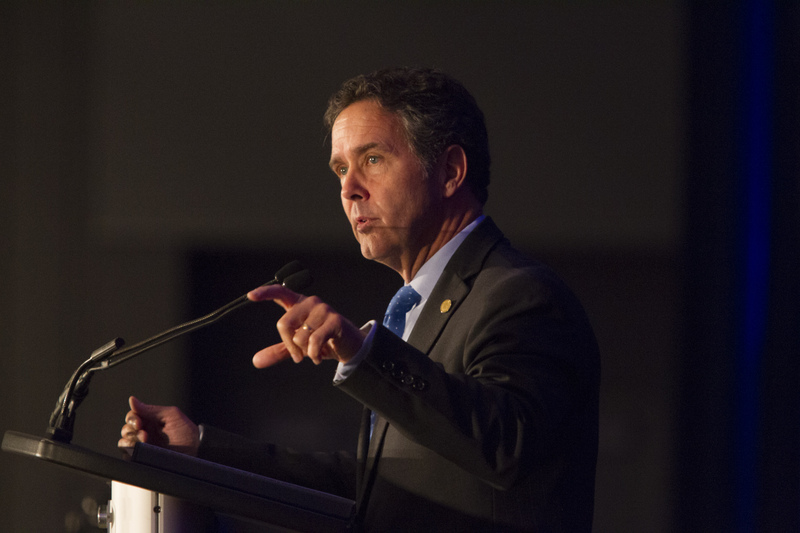 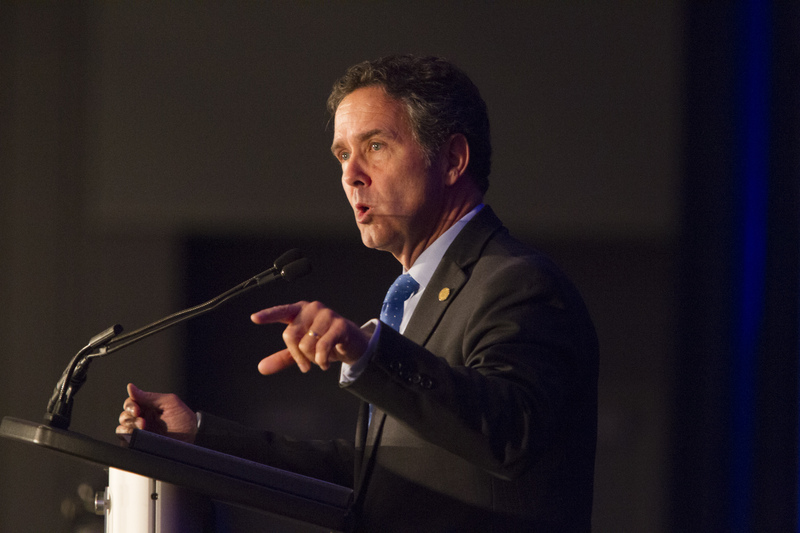 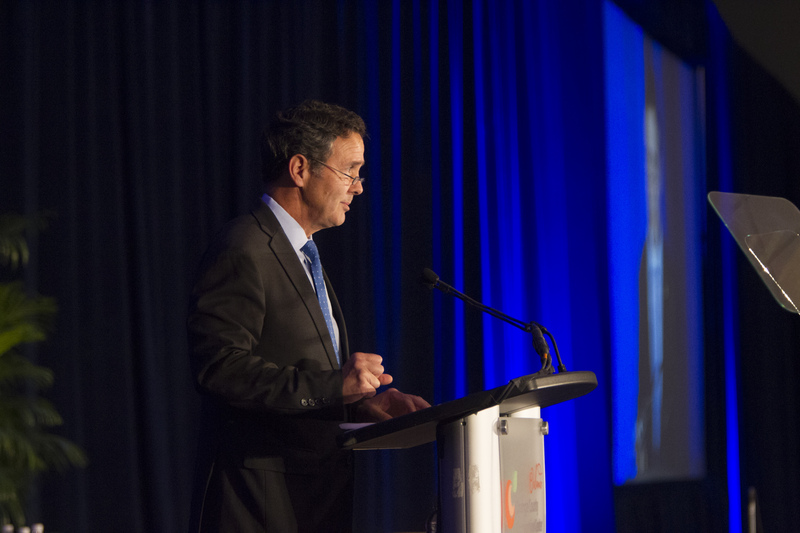 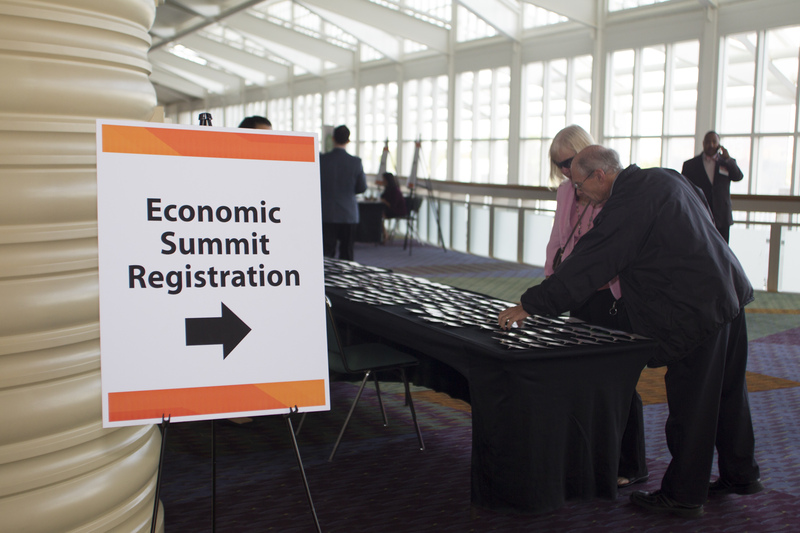 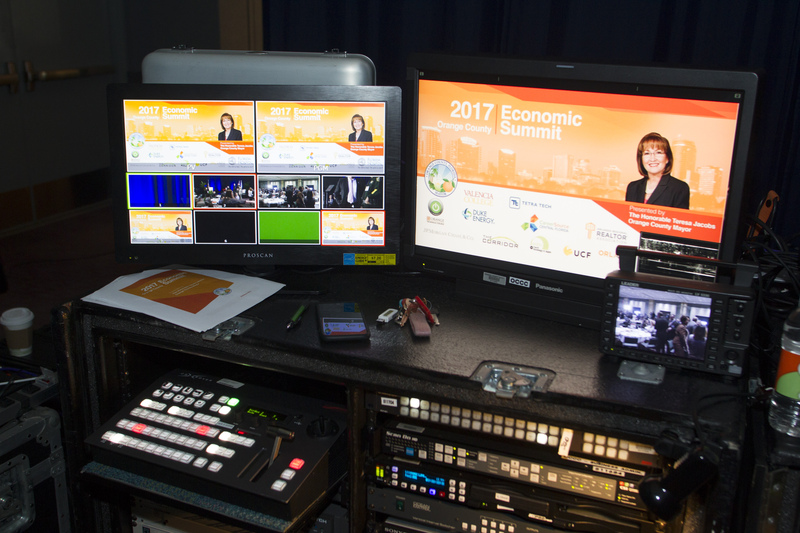 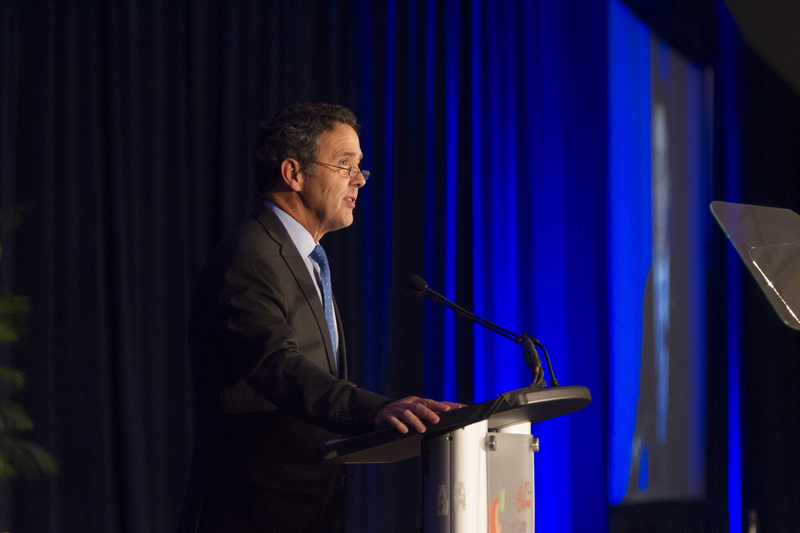 Now in its fifth year, the Economic Summit is hosted annually by Mayor Jacobs and provides a barometer on growing business sectors and regional economic successes. 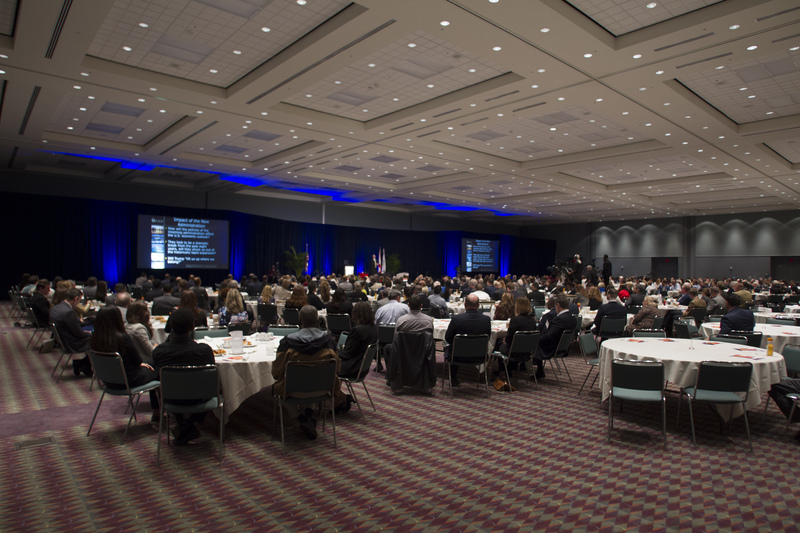 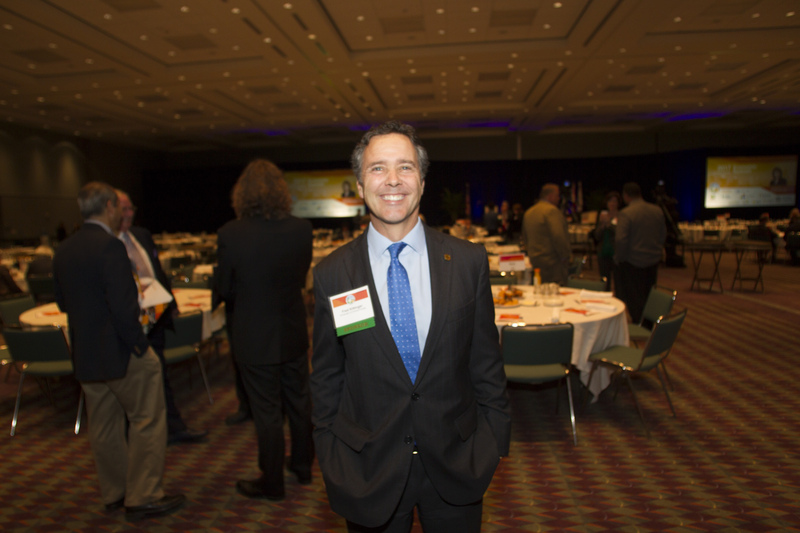 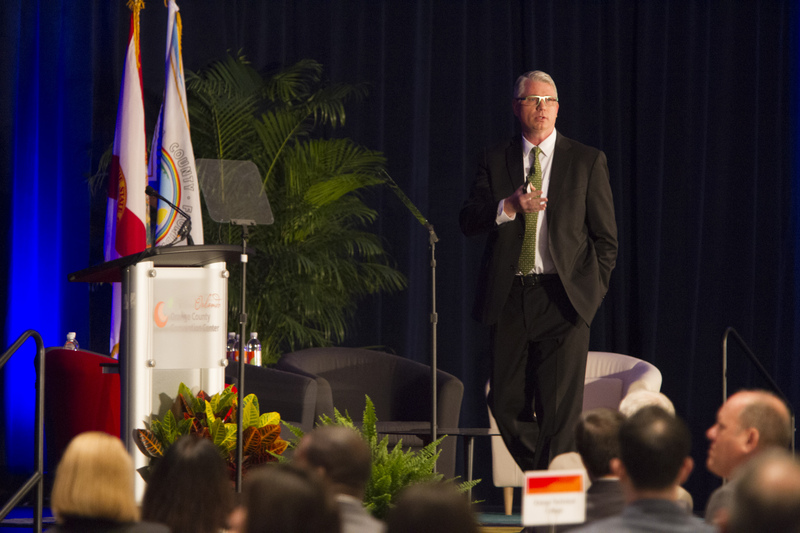 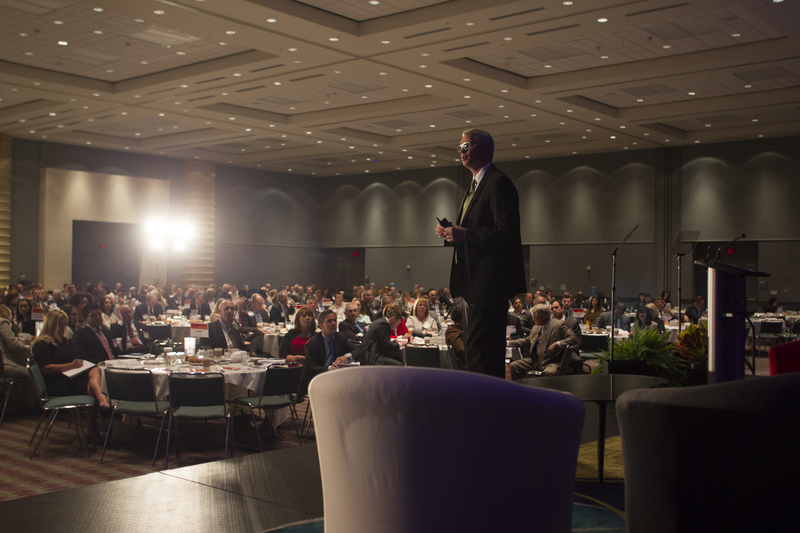 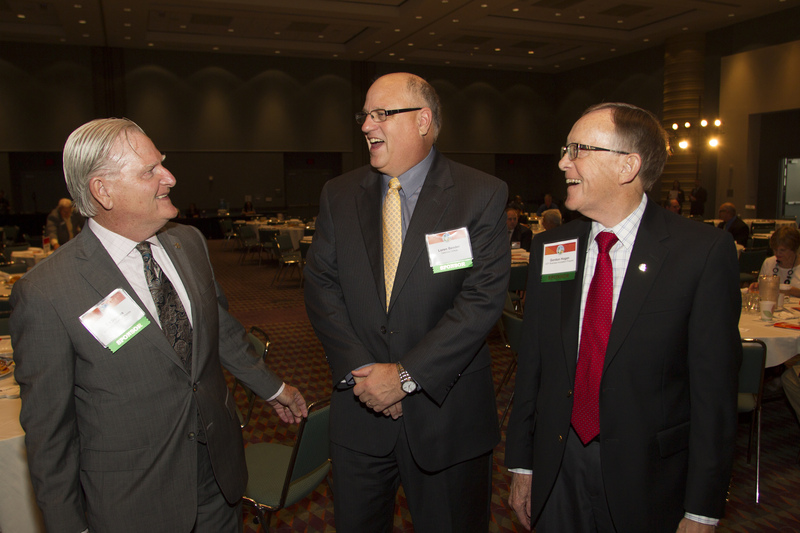 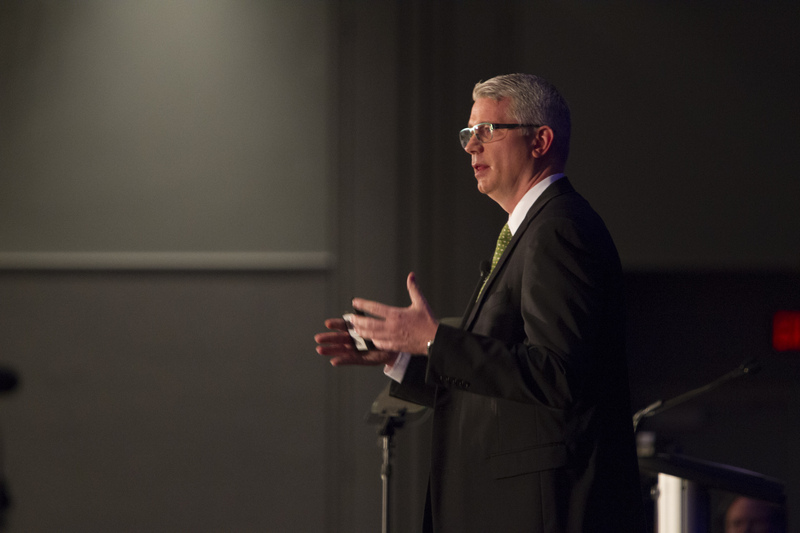 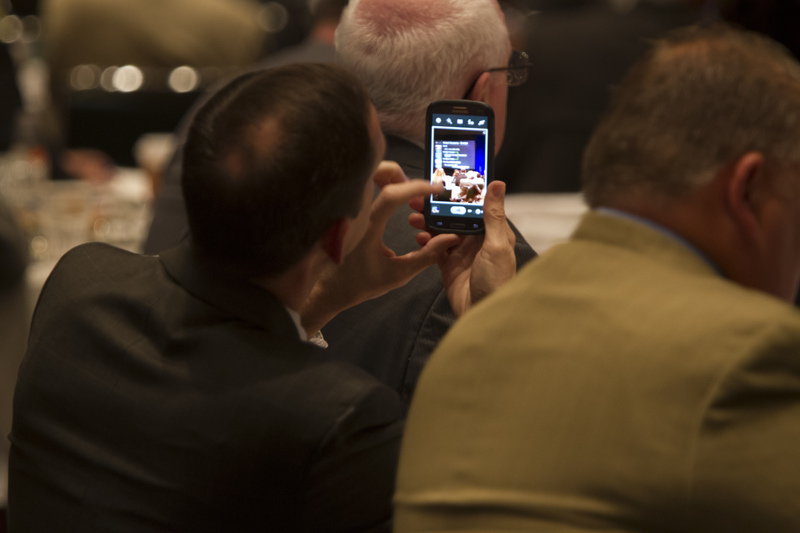 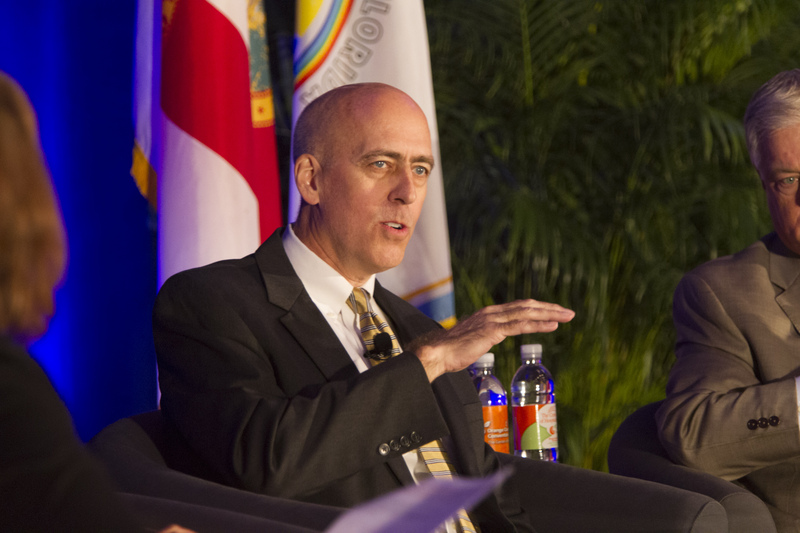 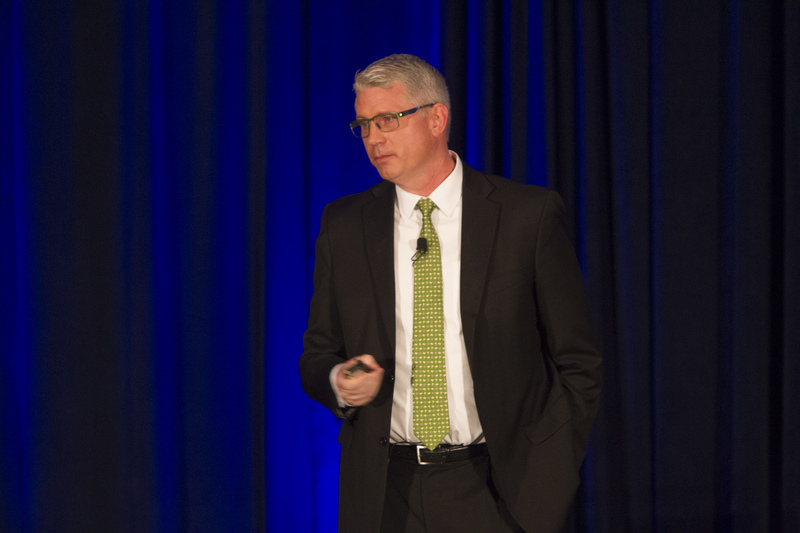 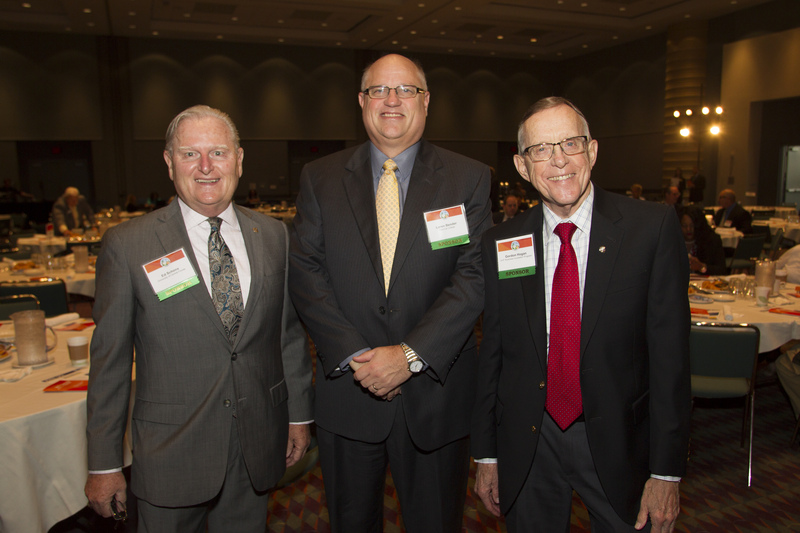 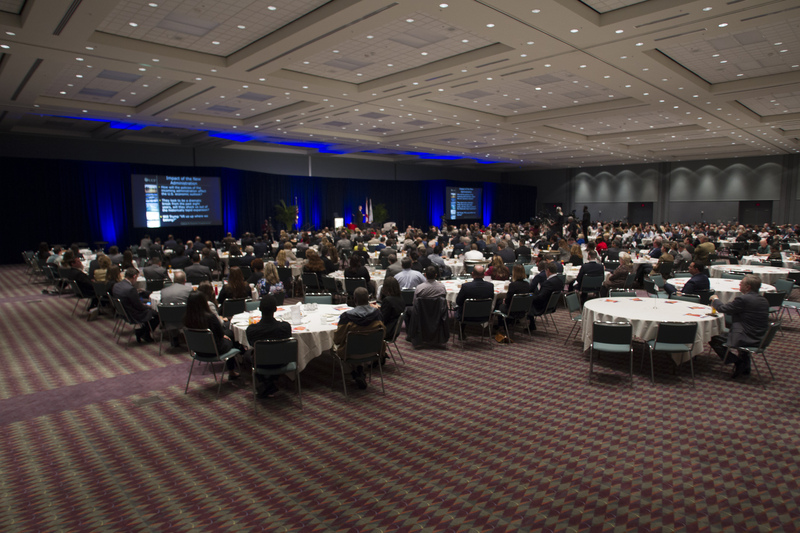 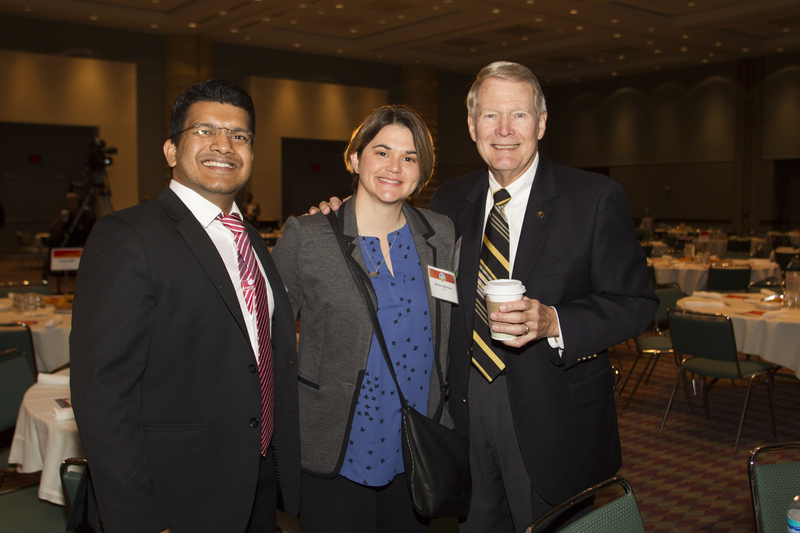 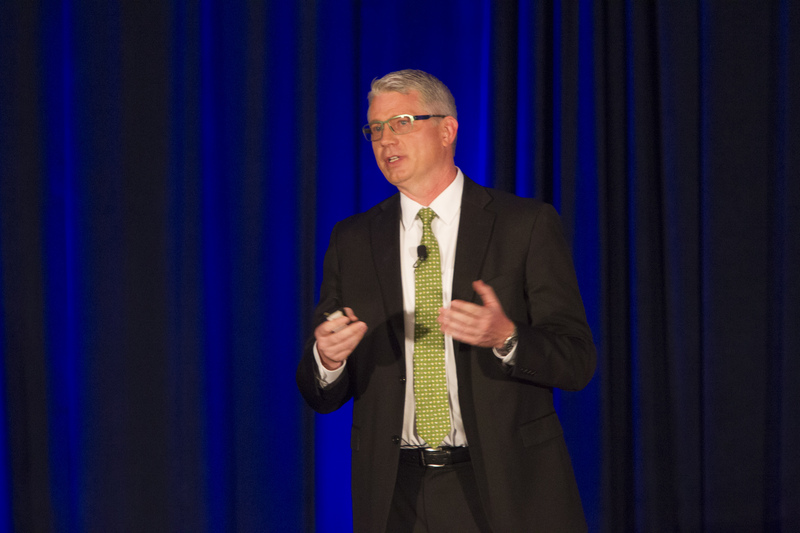 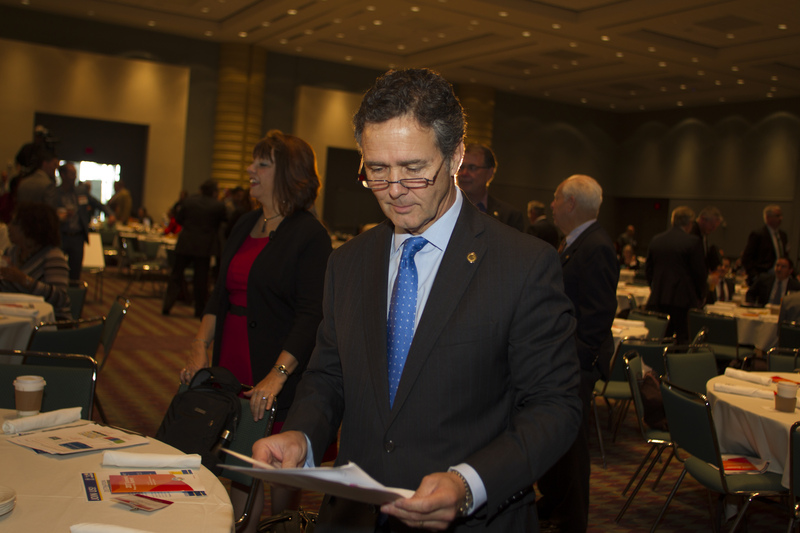 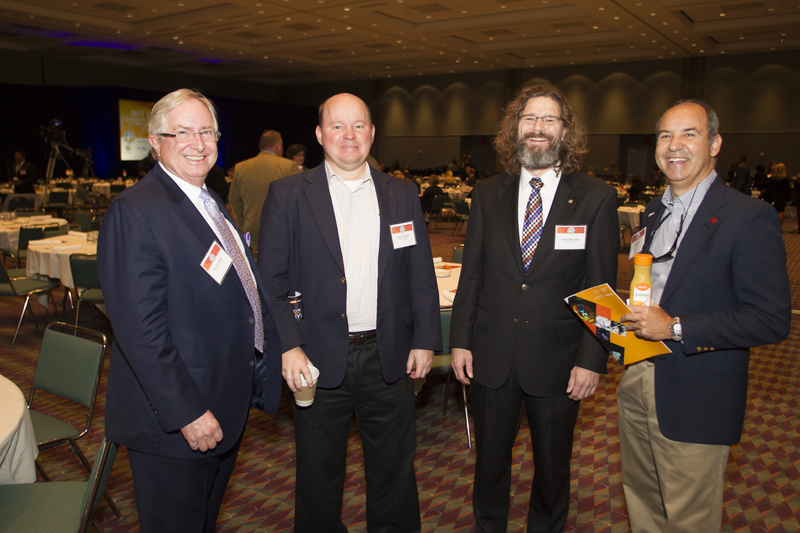 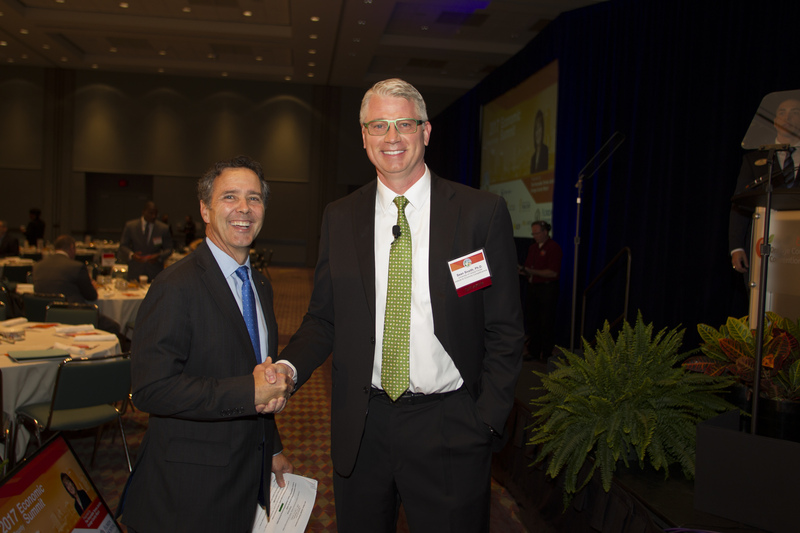 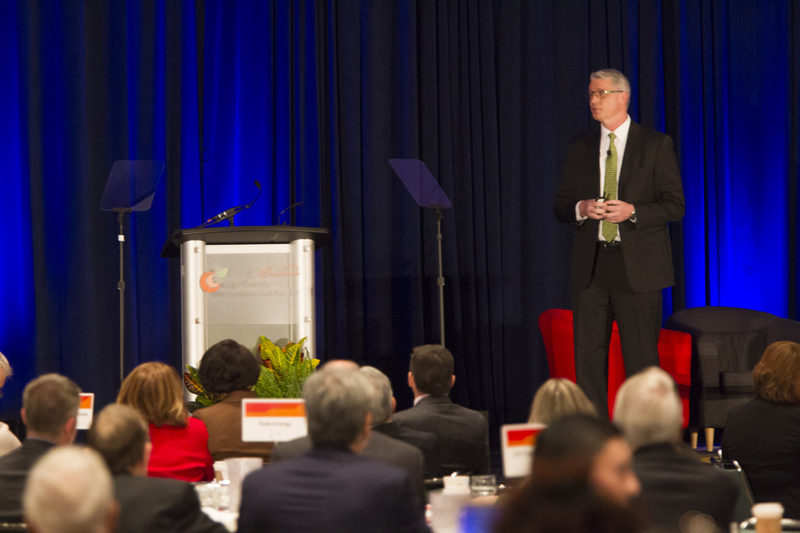 The highly anticipated annual local and state economic forecast, issued by nationally renowned economist Sean Snaith, Ph.D., director of the University of Central Florida’s (UCF) Institute for Economic Competitiveness, is the central highlight of the event. 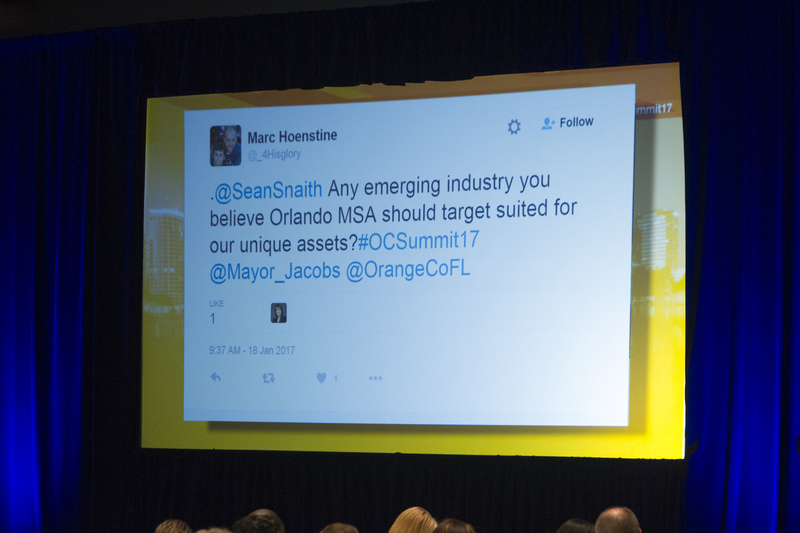 Snaith said there is “much to smile about” regarding Orange County’s economy. 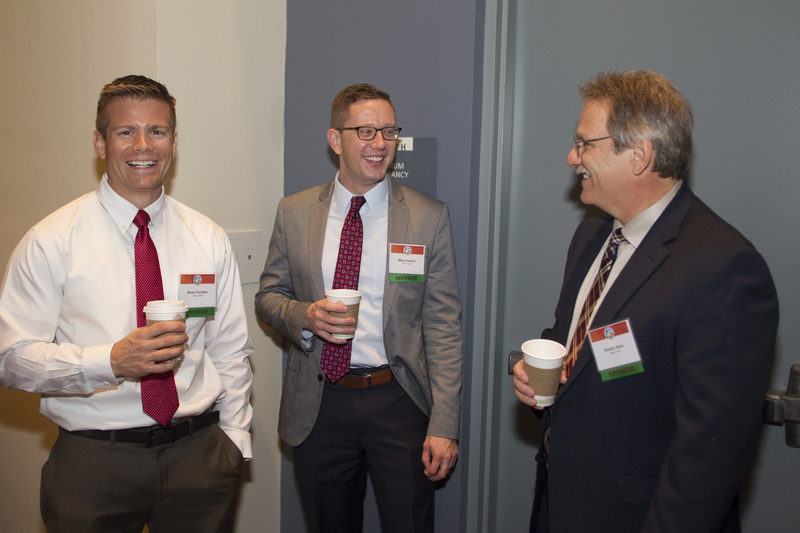 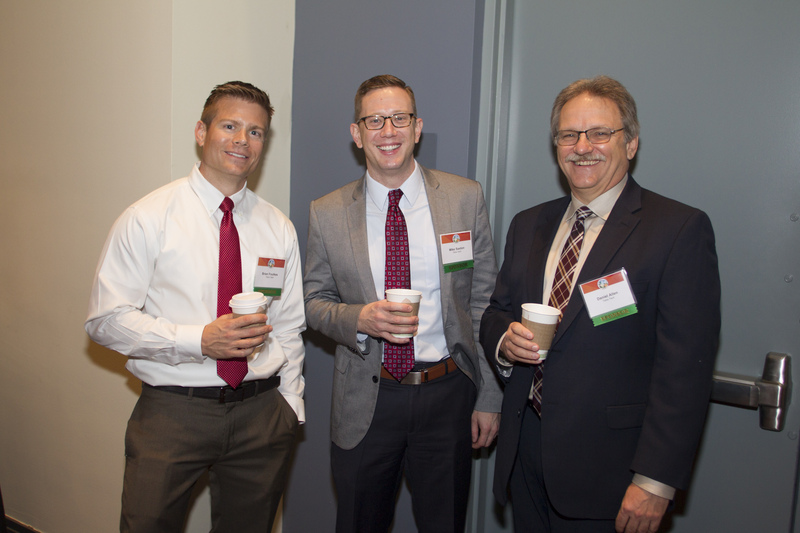 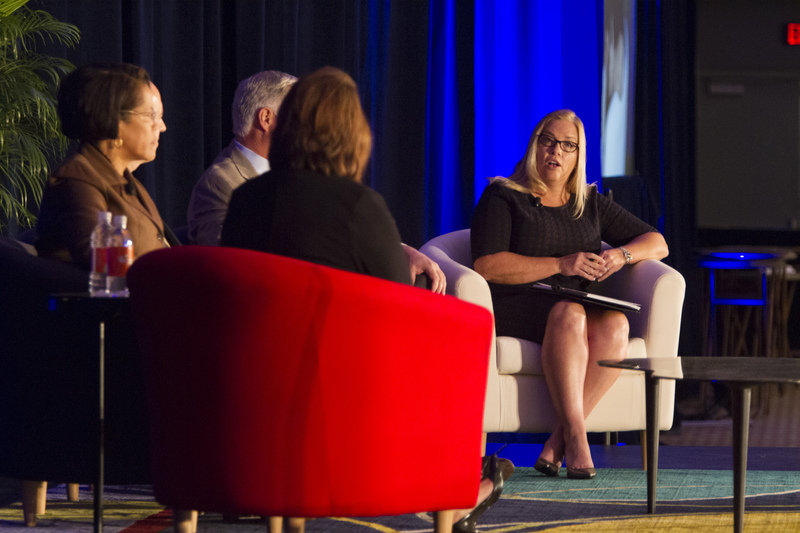 The Summit’s panel of notable workforce experts also offered their perspective on how local certification programs can open doors to a multitude of opportunities for those seeking job training and technical skills outside the traditional four-year degree. 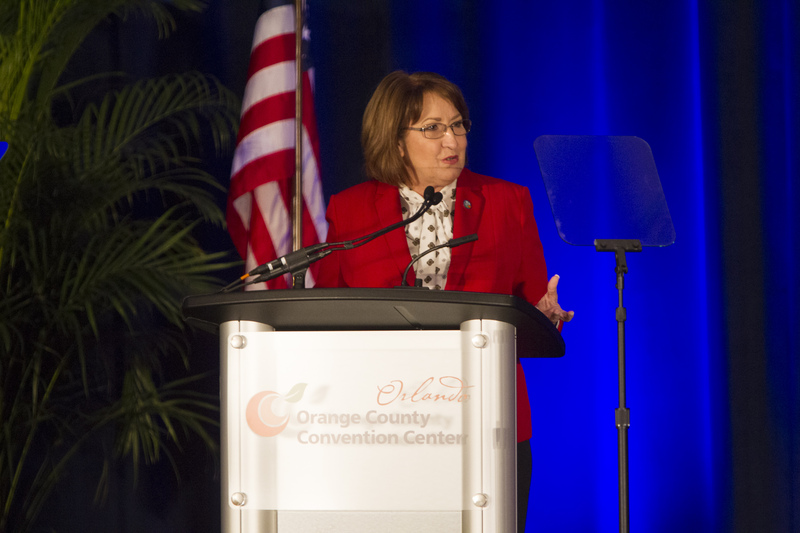 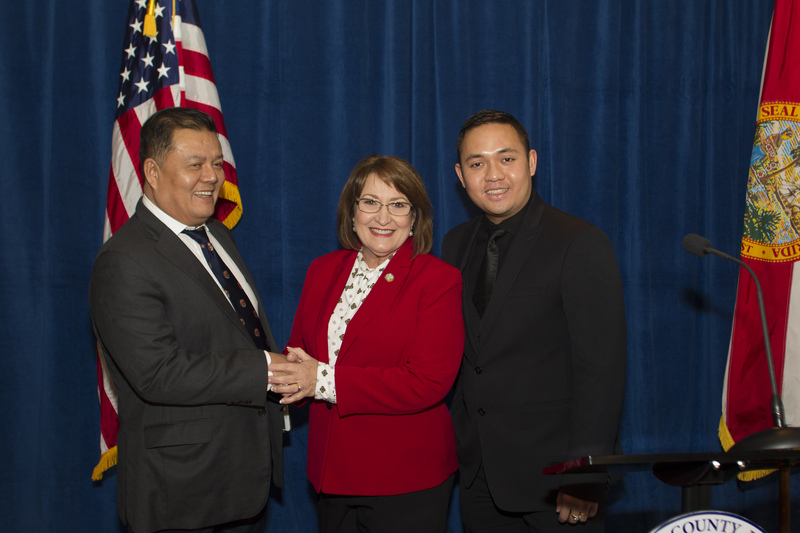 The region’s robust economy, remarkable connectivity and transportation enhancements, in addition to the region’s diverse and talented workforce, continues to aid Orange County’s upward trajectory of economic growth and progress. 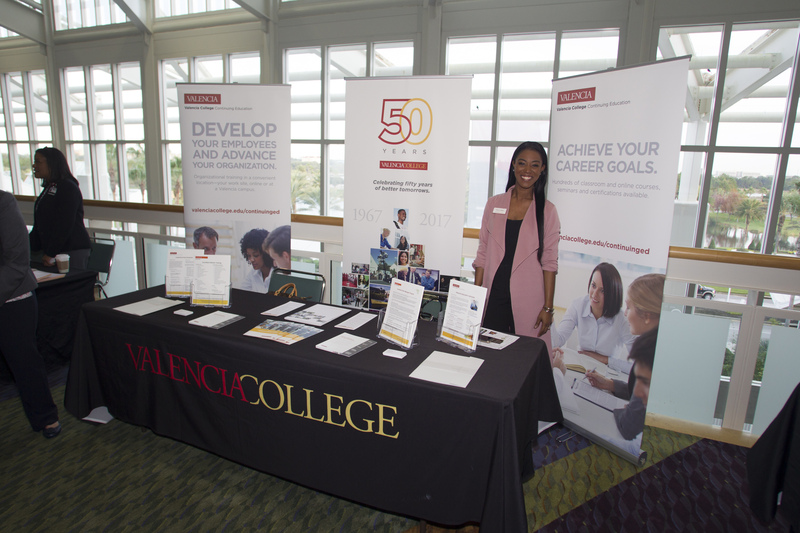 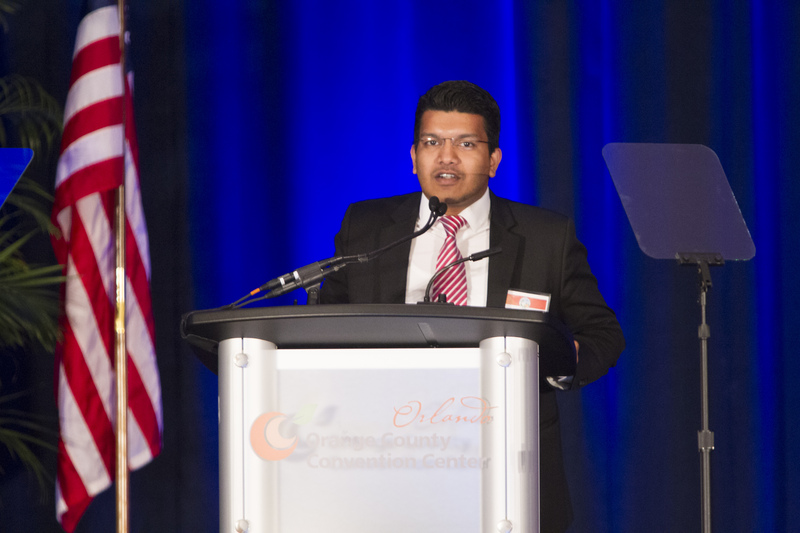 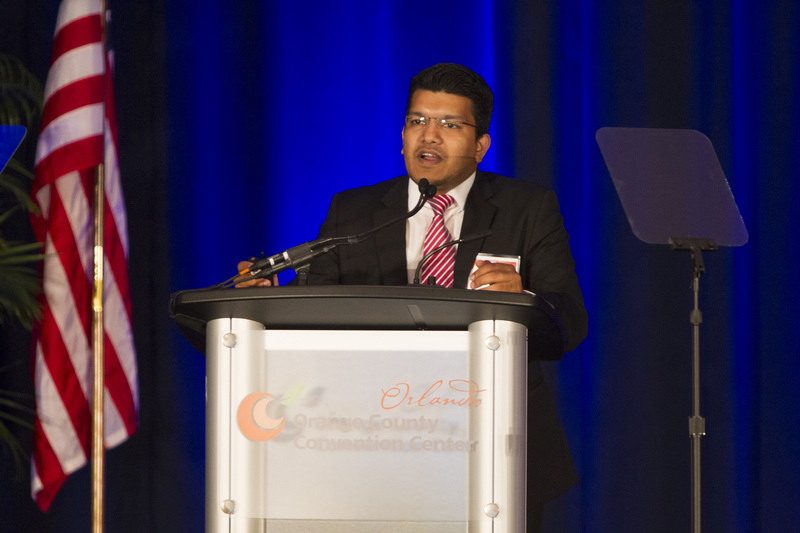 Vernet Lasrado, Ph.D., assistant director for research at the University of Central Florida, provided insight and a presentation on the region’s extraordinary talent supply, which has attracted high-profile business expansions to Orange County this past year. 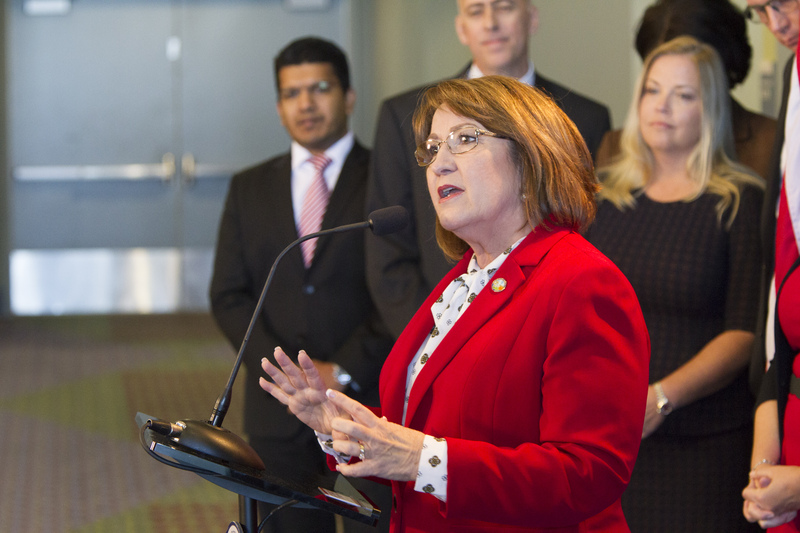 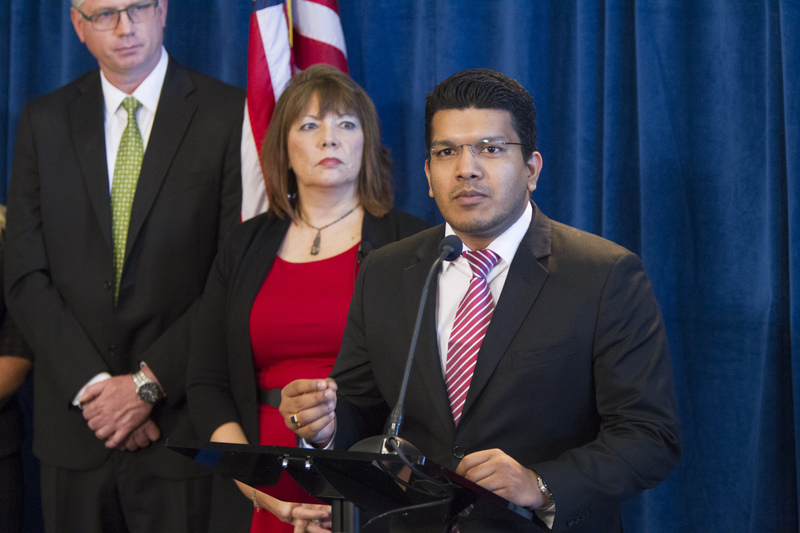 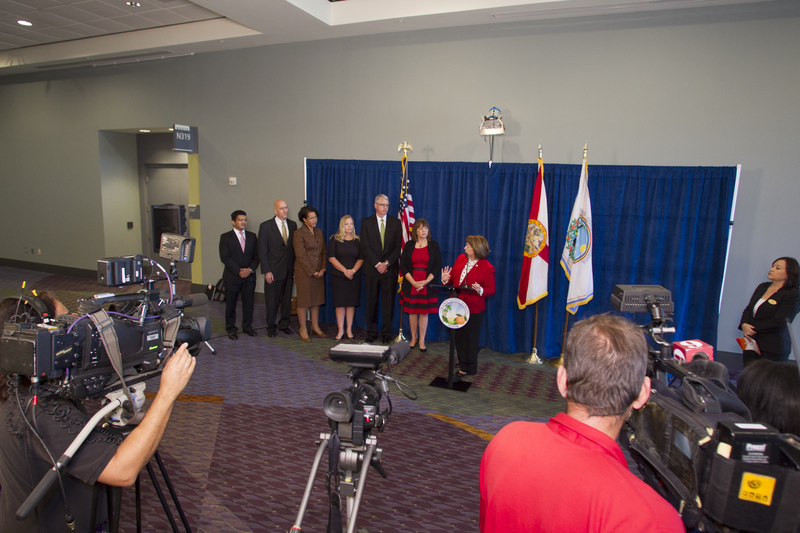 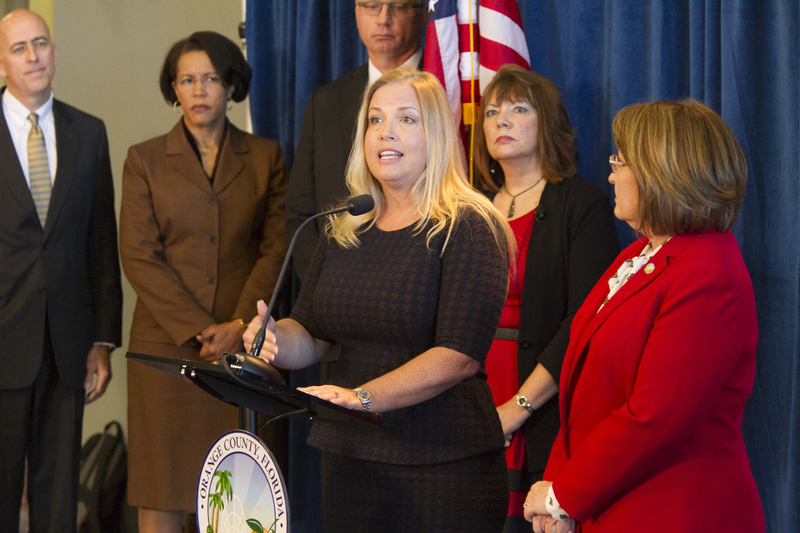 Examples include VOXX International Corp., a leading manufacturer and distributor of automotive, consumer accessories and premium audio products, extended warranties provider SquareTrade, human resource and payroll software developer ADP and CVS Health’s Caremark — which will add thousands of jobs in Orange County over the next couple of years. 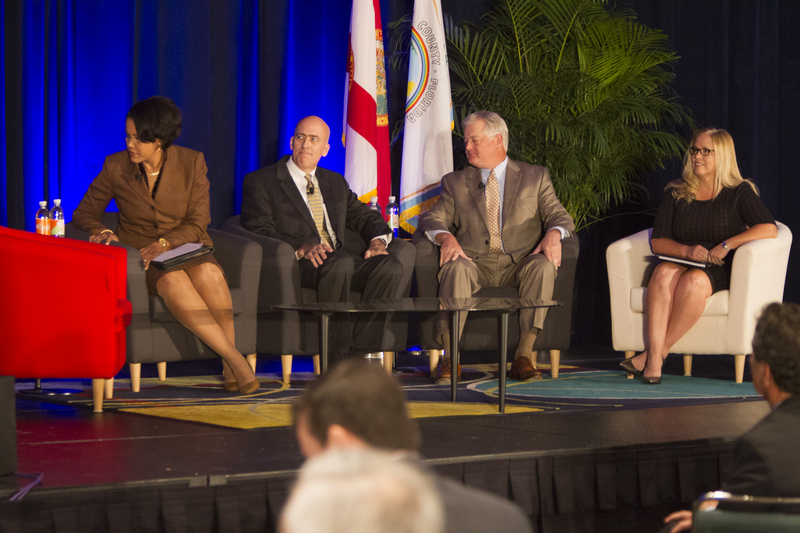 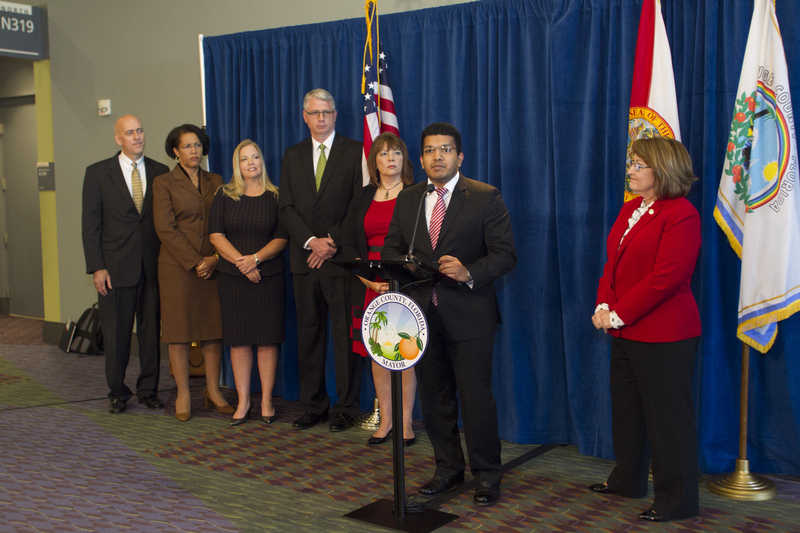 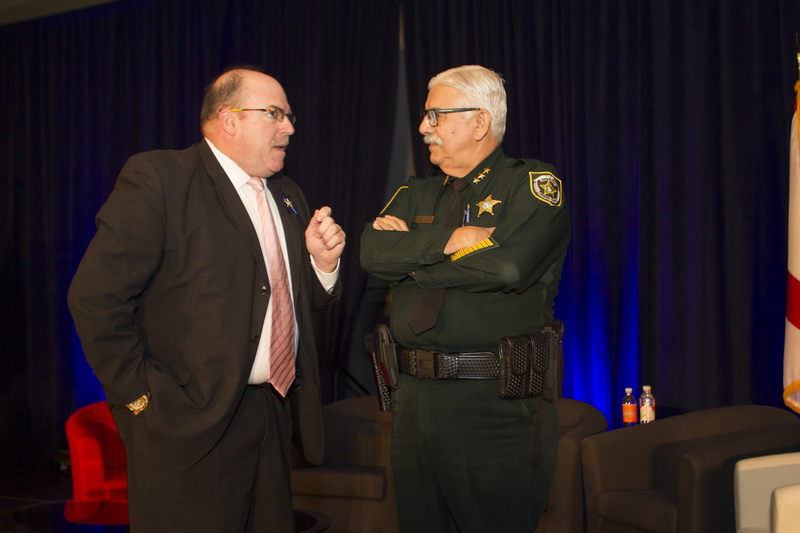 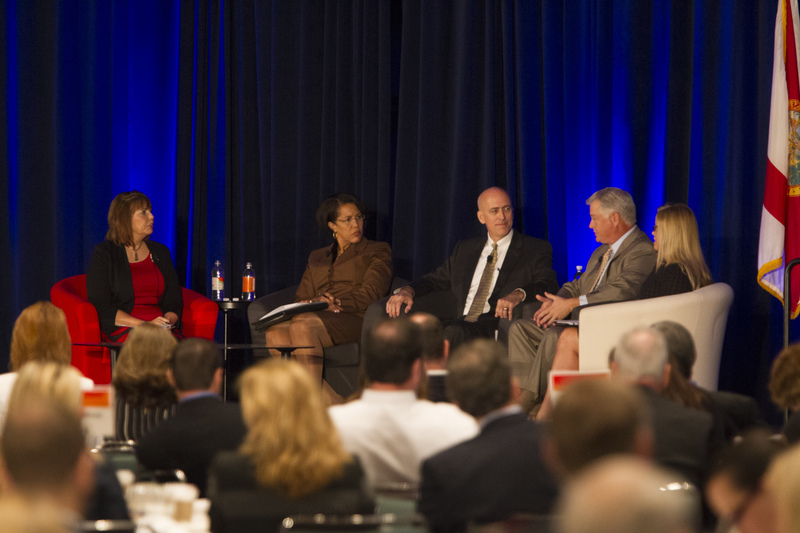 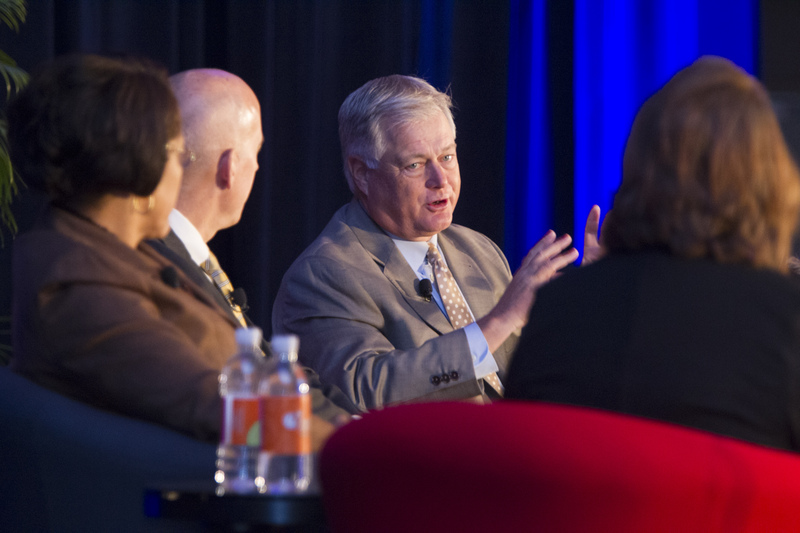 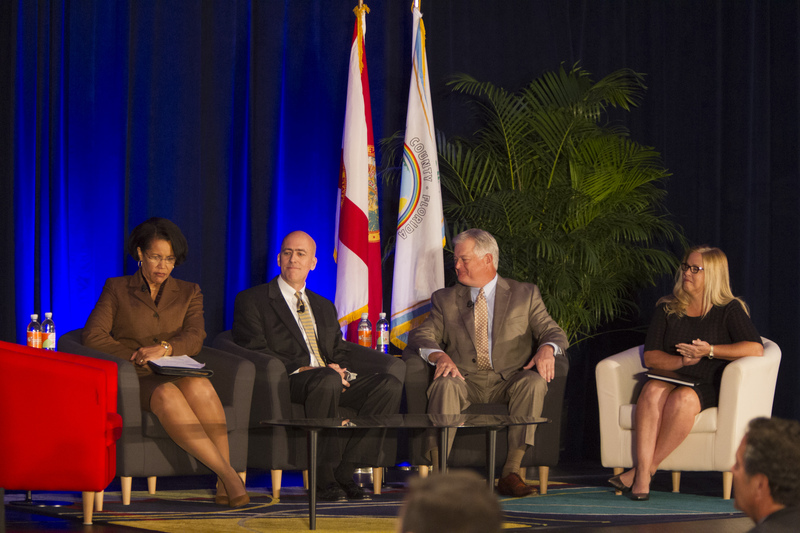 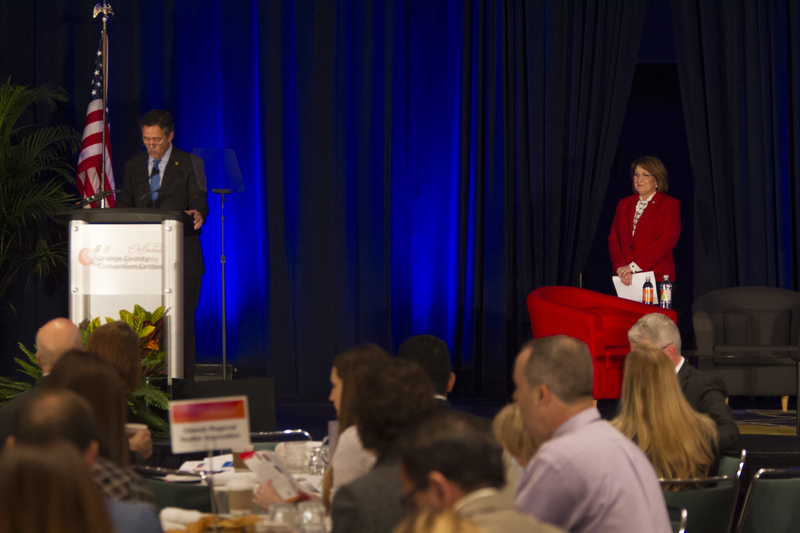 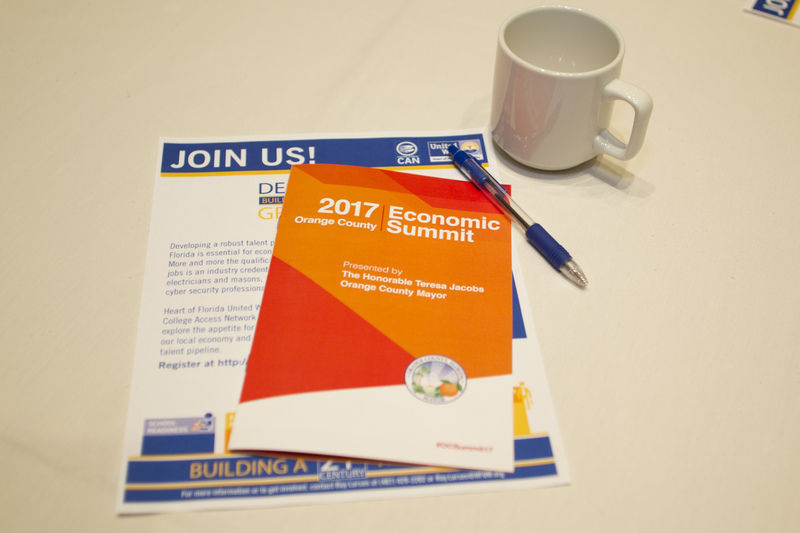 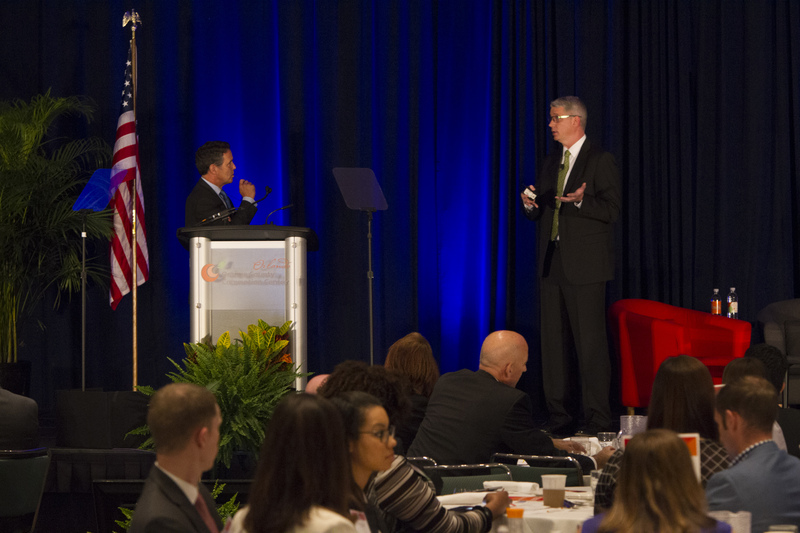 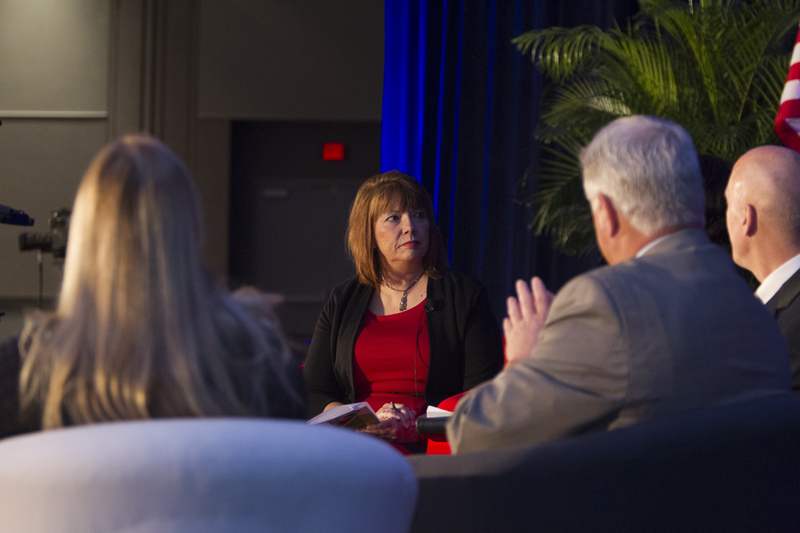 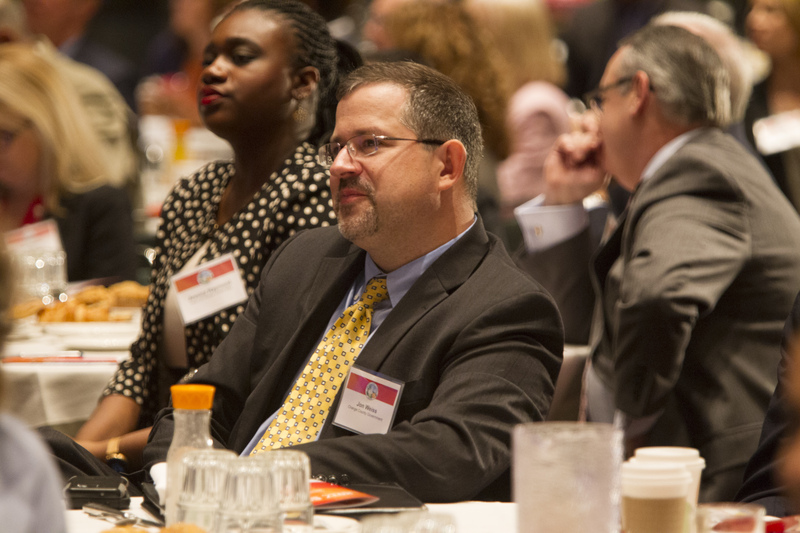 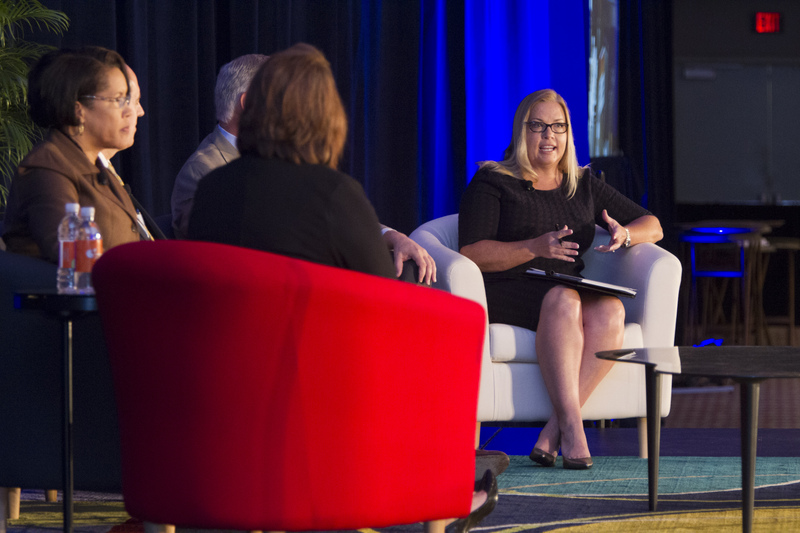 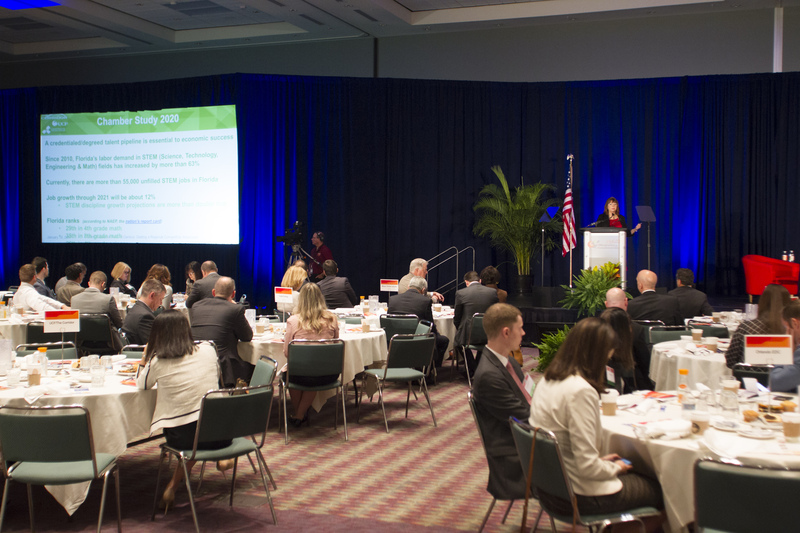 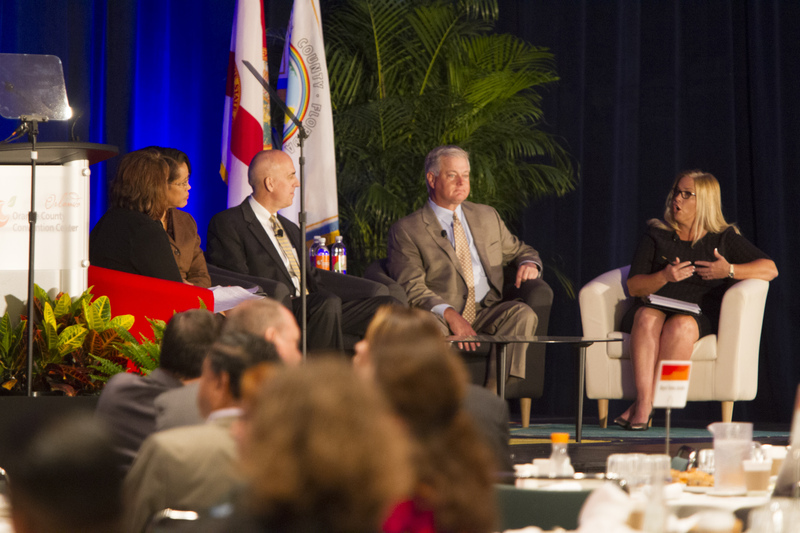 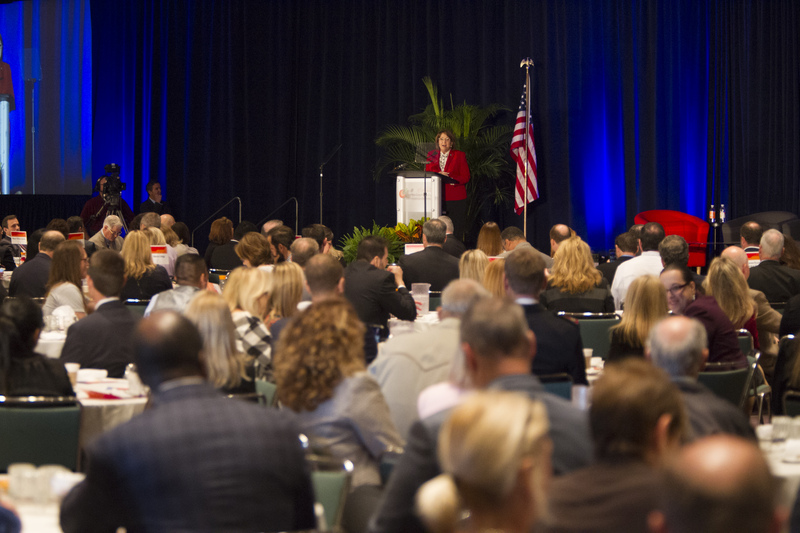 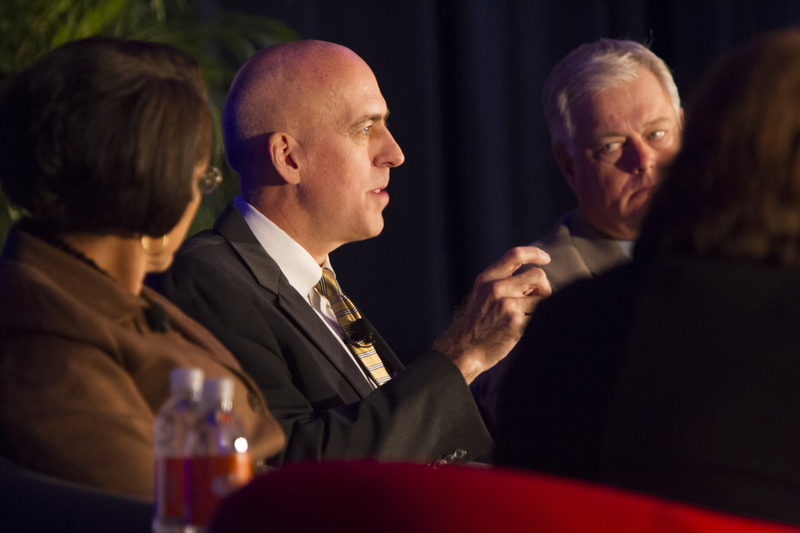 The Summit also featured a Workforce Development panel discussion focused on continued job growth and economic successes in Central Florida for the upcoming year. 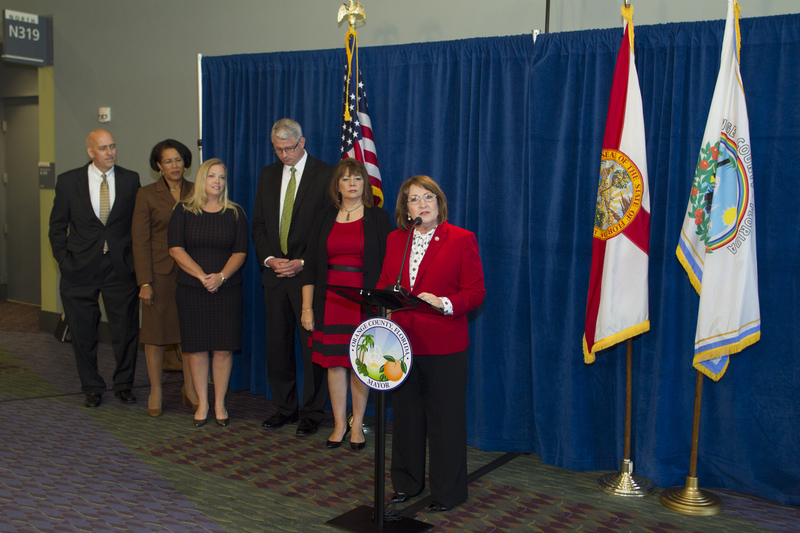 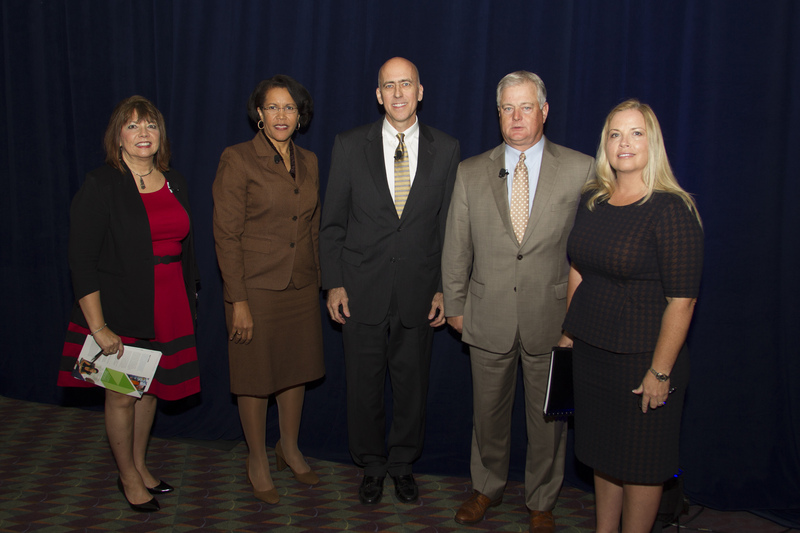 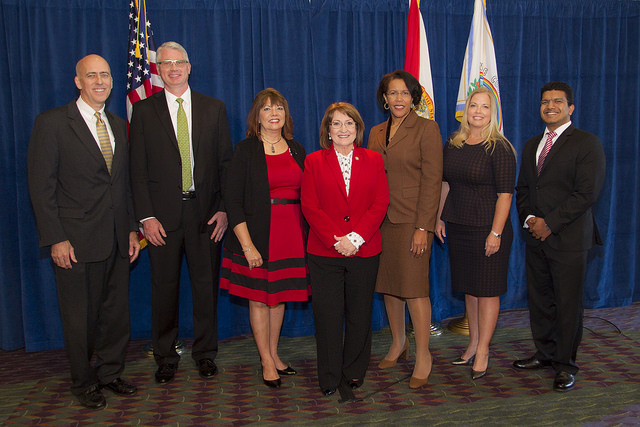 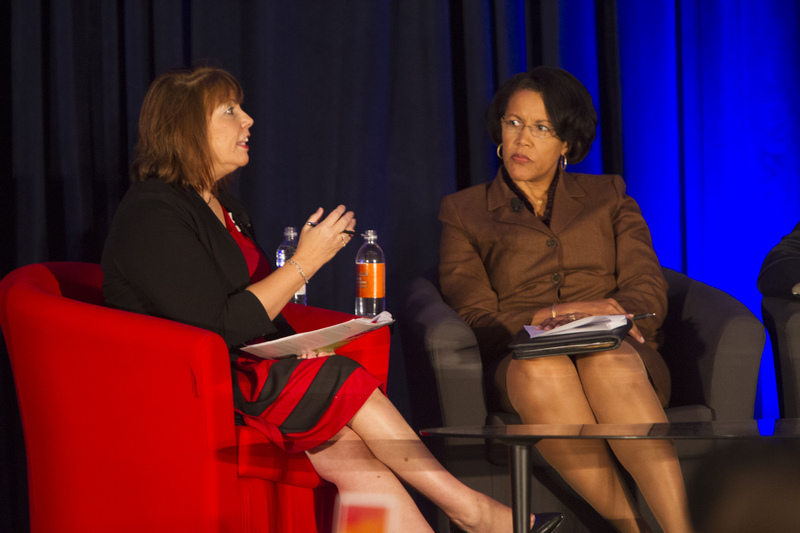 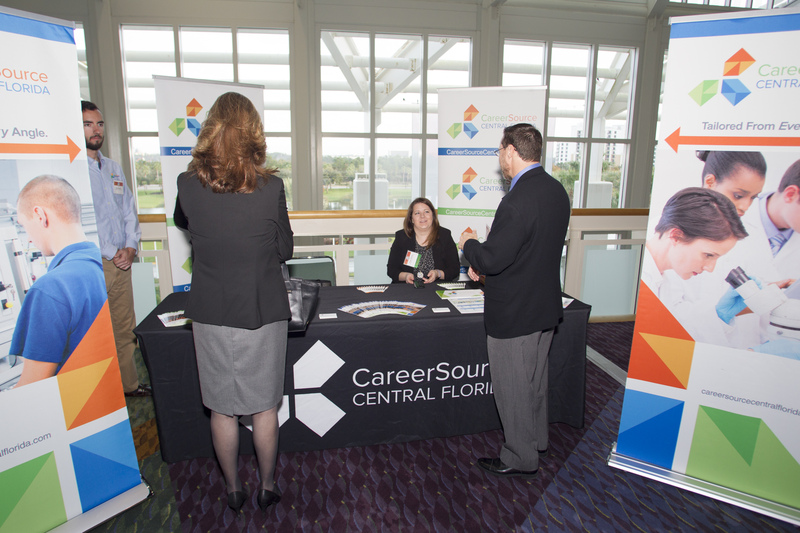 The panel was moderated by Pam Nabors, president and CEO of CareerSource Central Florida. 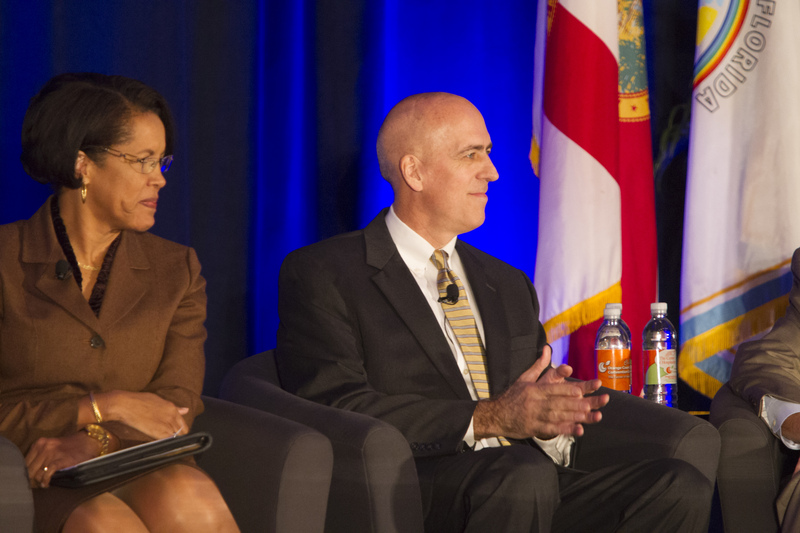 Panelists included Barbara Jenkins, Ed.D., superintendent of Orange County Public Schools, Thad Seymour, Ph.D., vice provost for UCF Downtown, Sanford “Sandy” Shugart, Ph.D., president of Valencia College and Crystal Sircy, executive vice president of the Orlando Economic Development Commission. 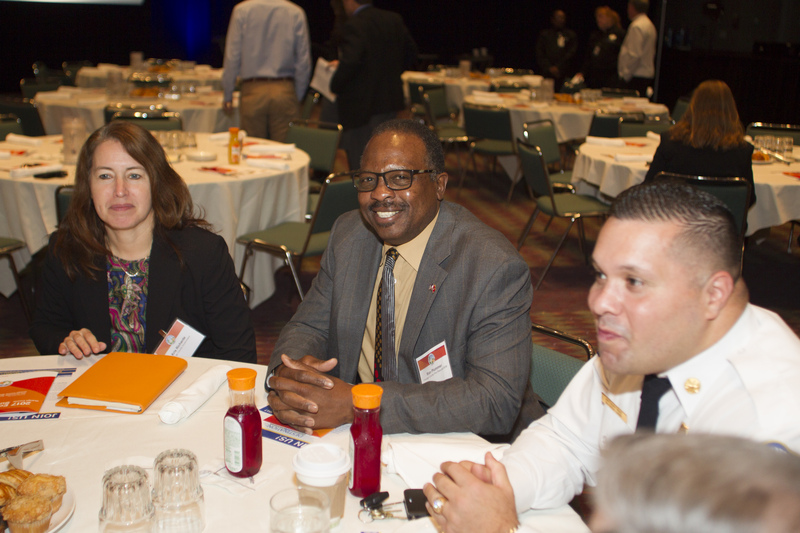 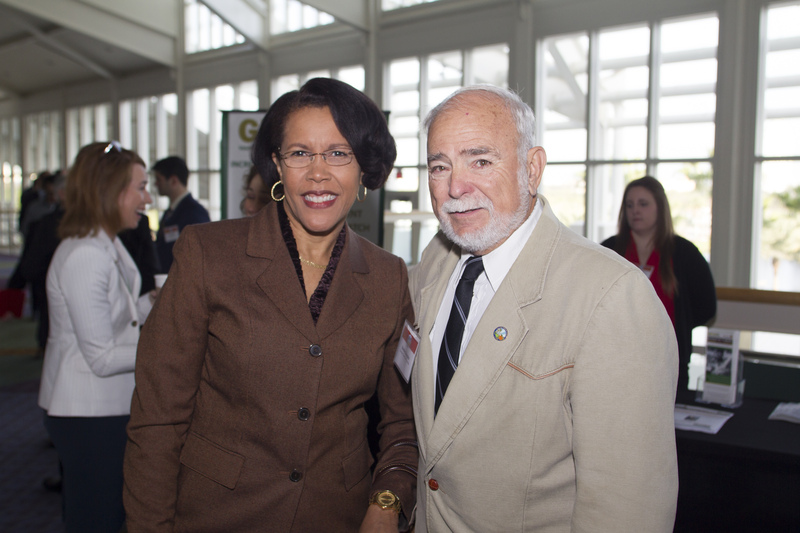 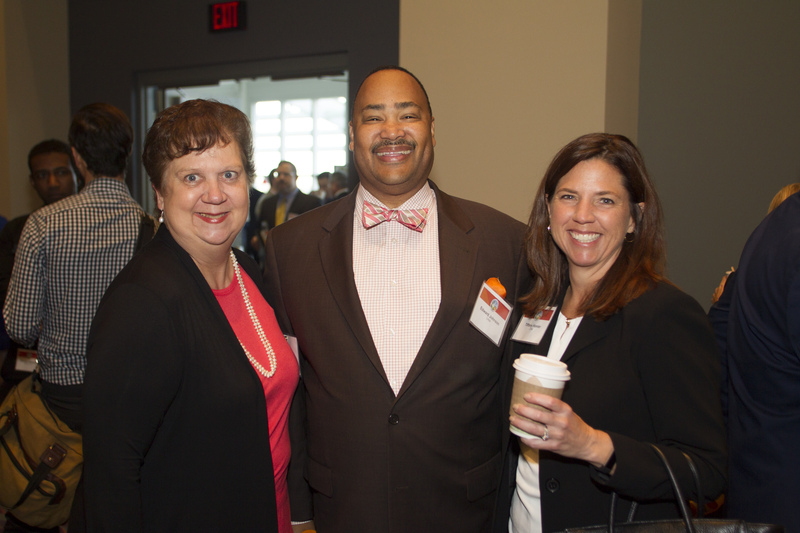 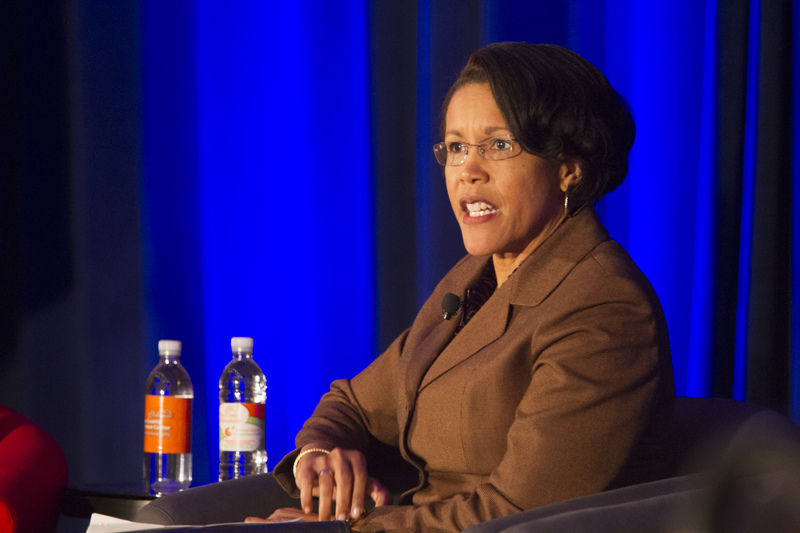 Sircy added that businesses are attracted to a diverse workforce and a ready talent pipeline. 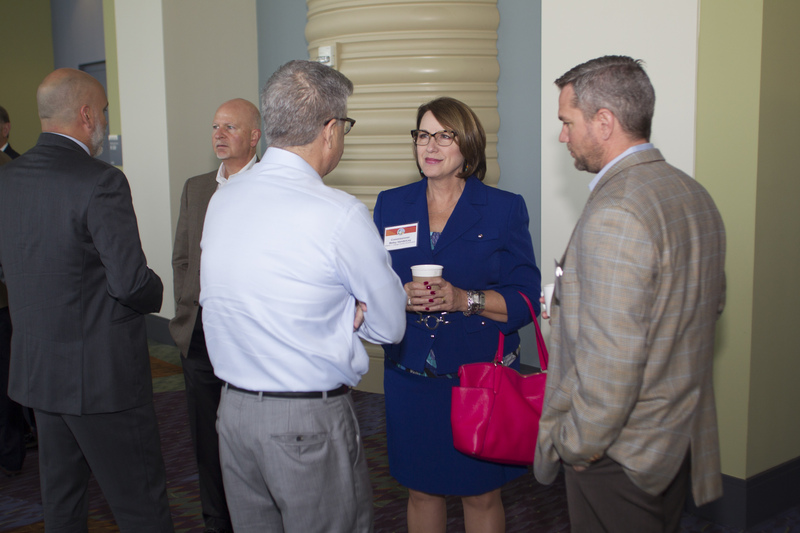 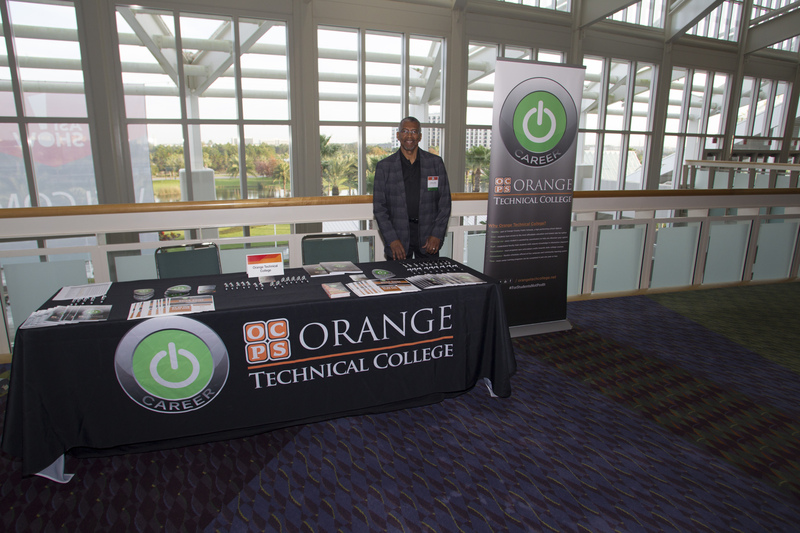 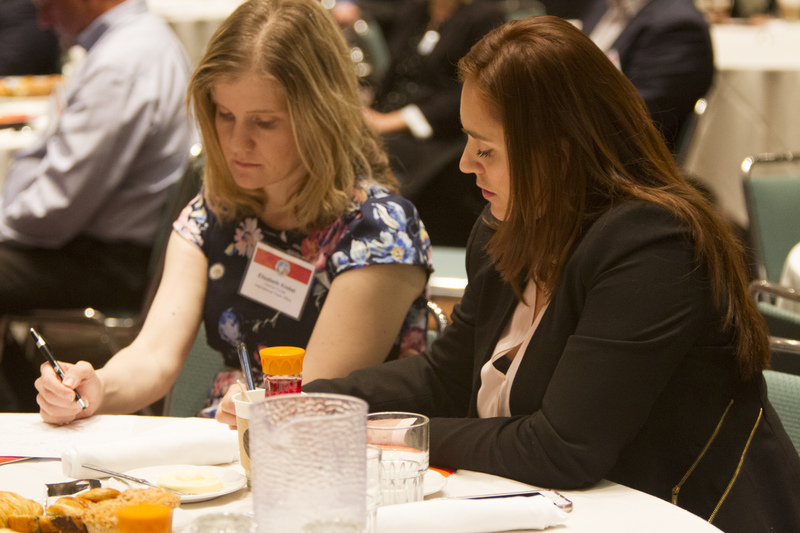 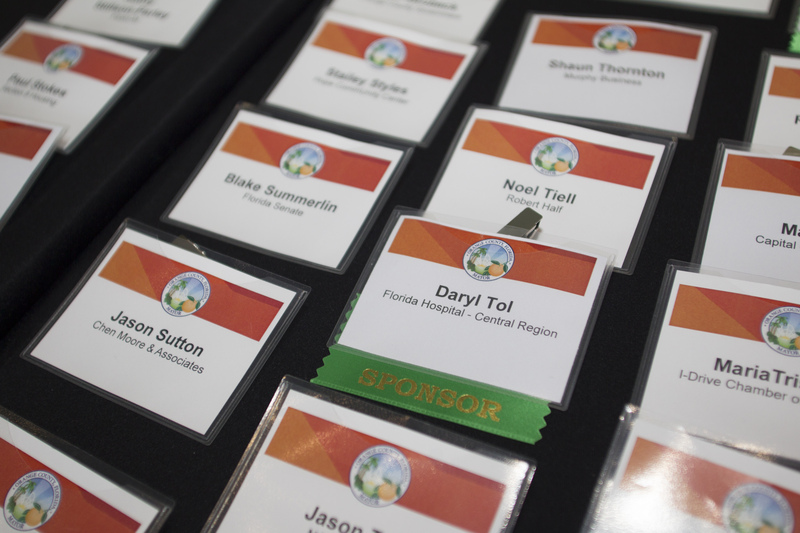 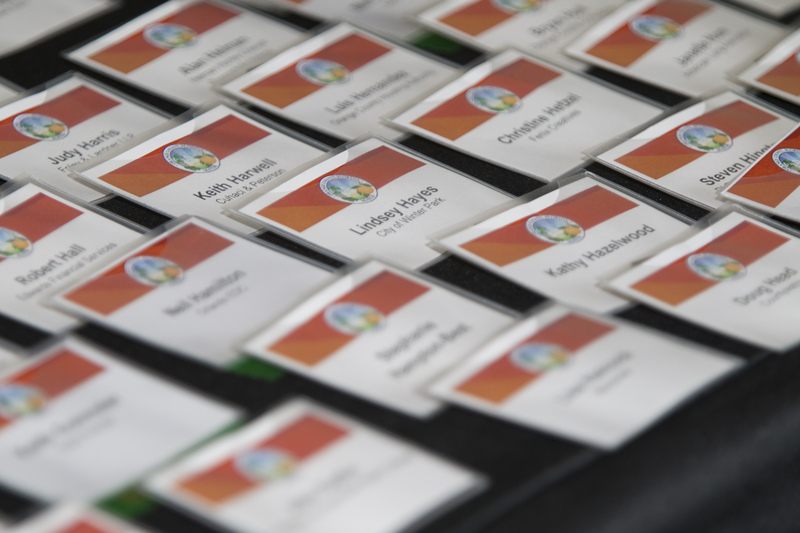 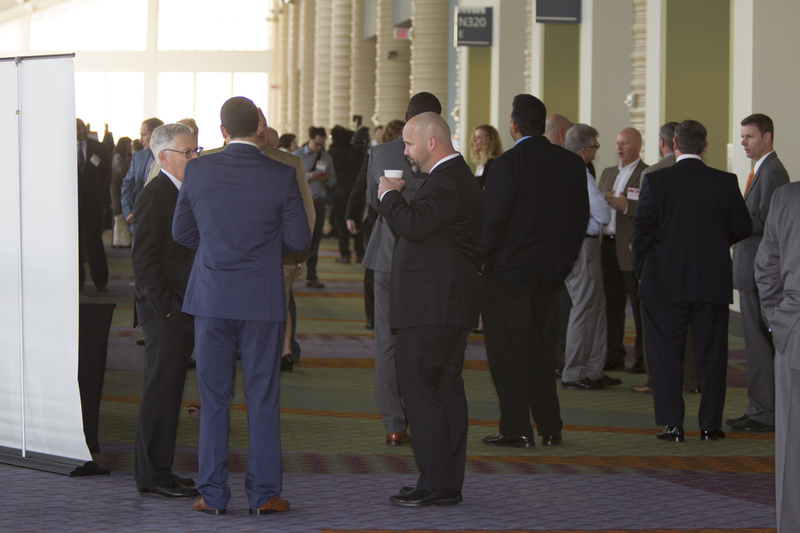 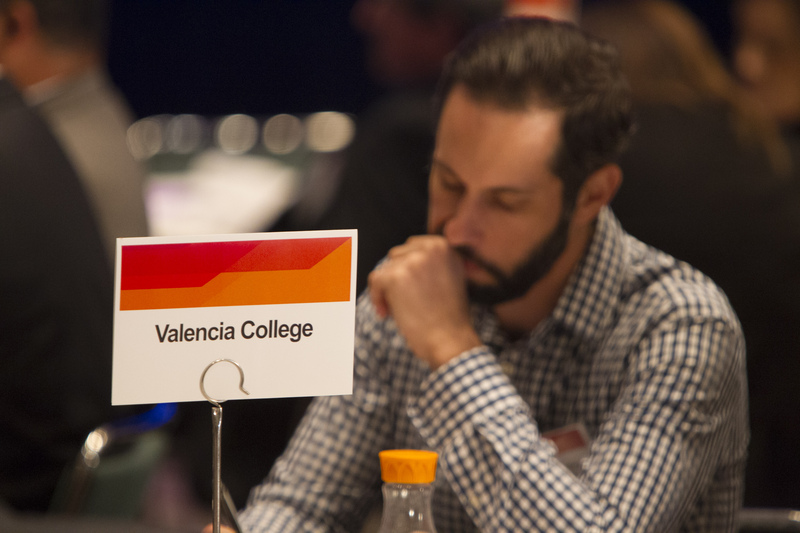 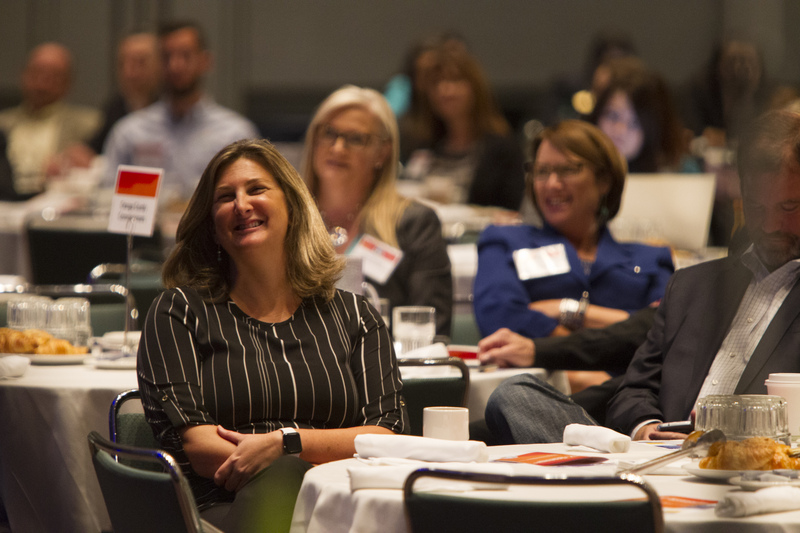 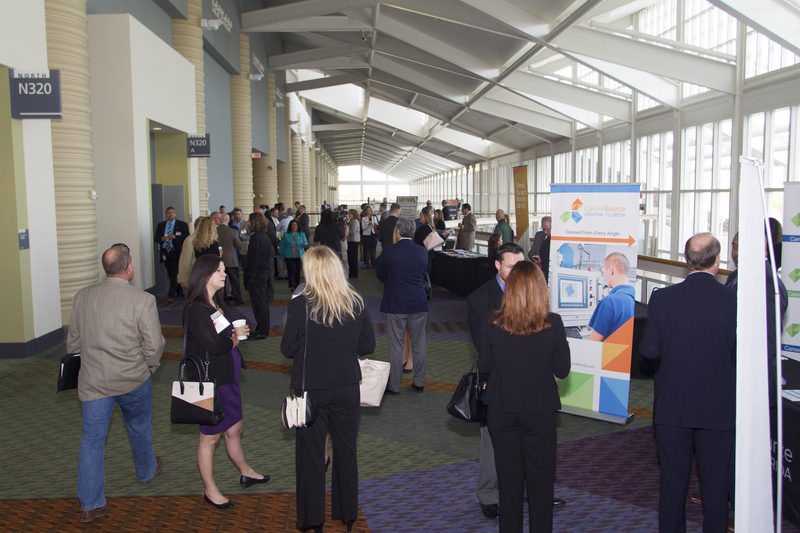 During Florida TechMatch, about 50 tech companies met with almost 20 enterprise companies and organizations like Universal Studios Resort, Orlando Science Center, Verizon, City of Orlando and CareerSource Central Florida.